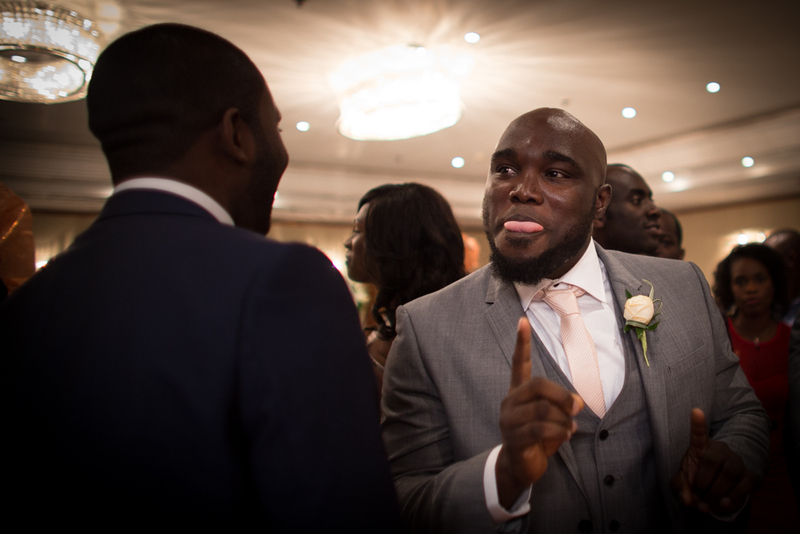 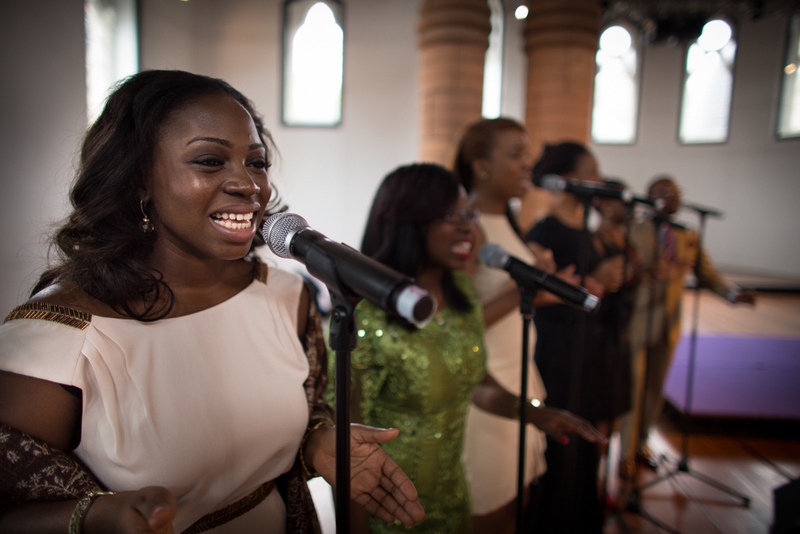 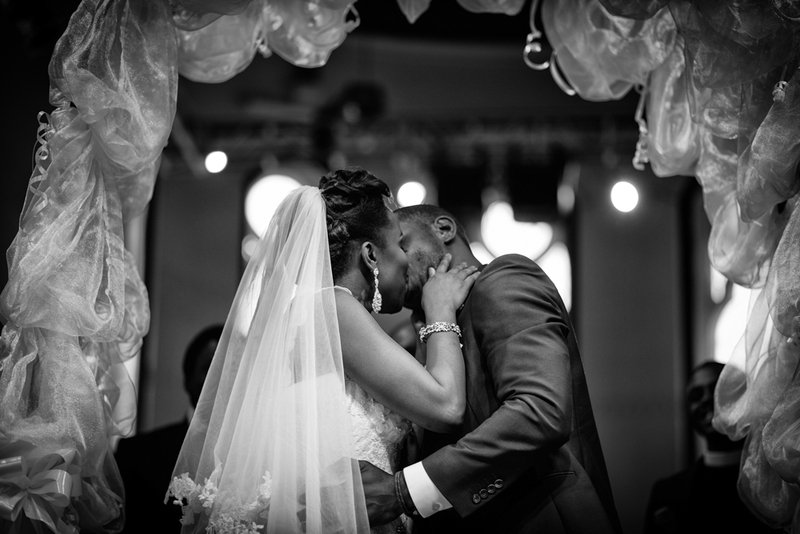 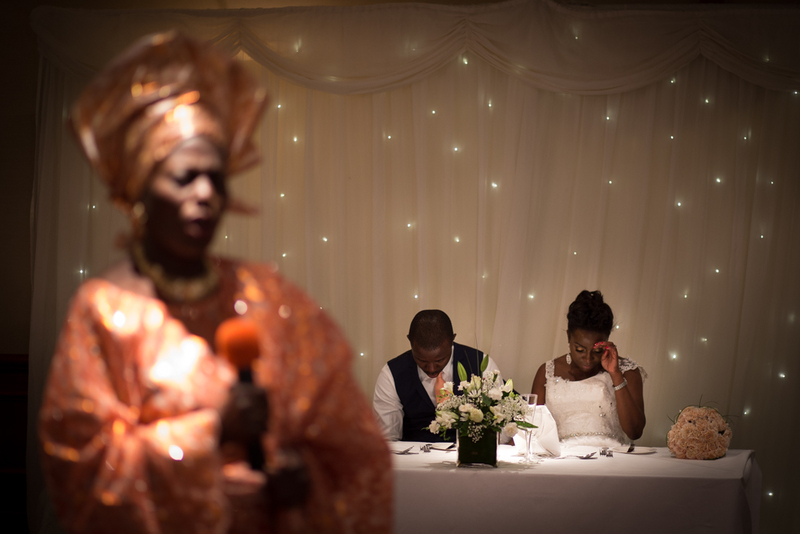 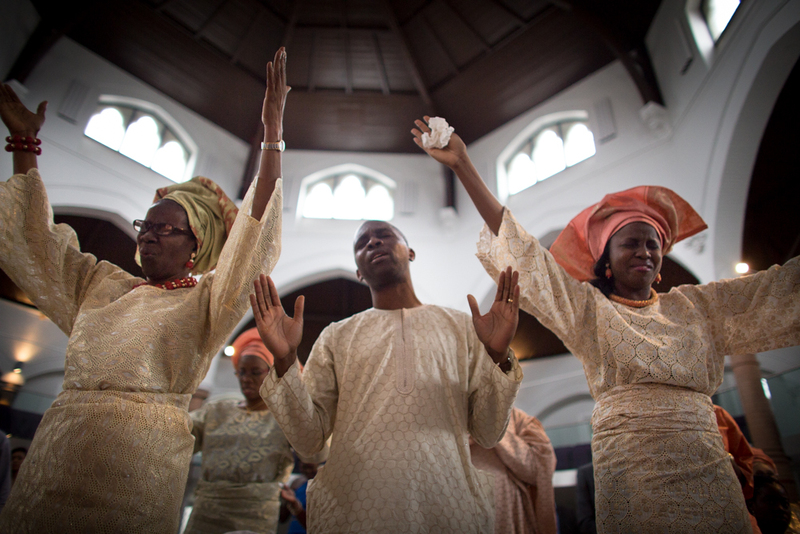 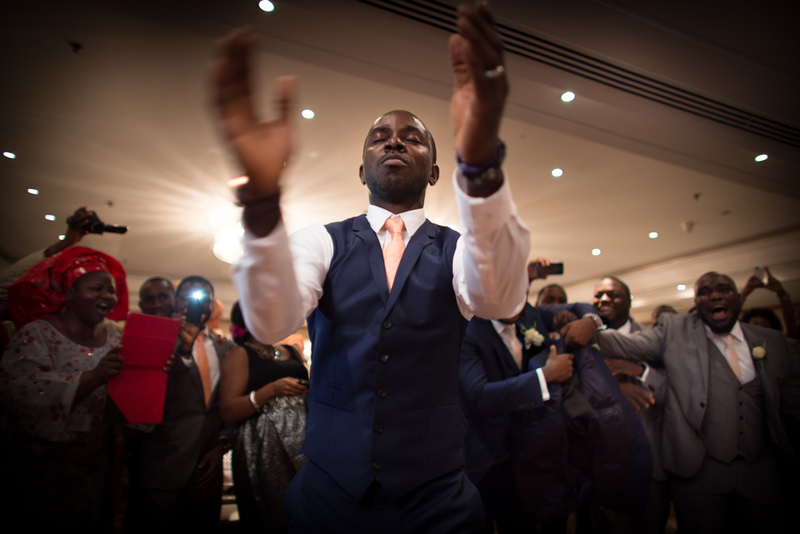 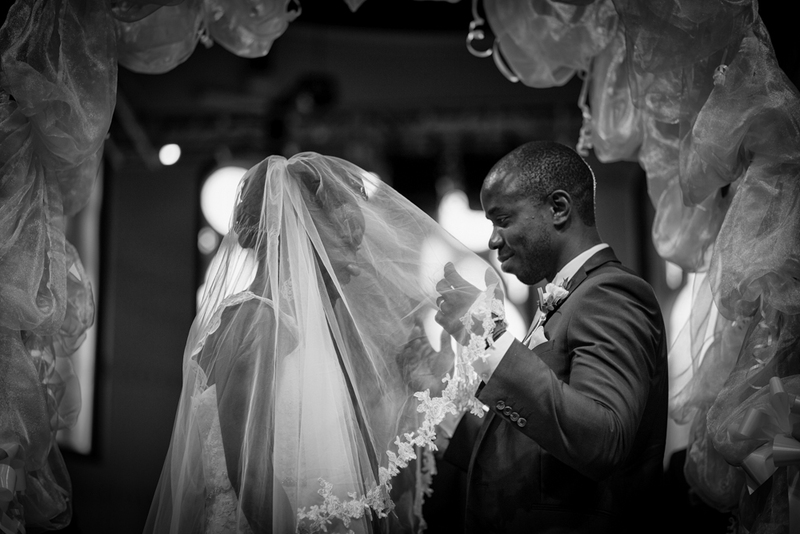 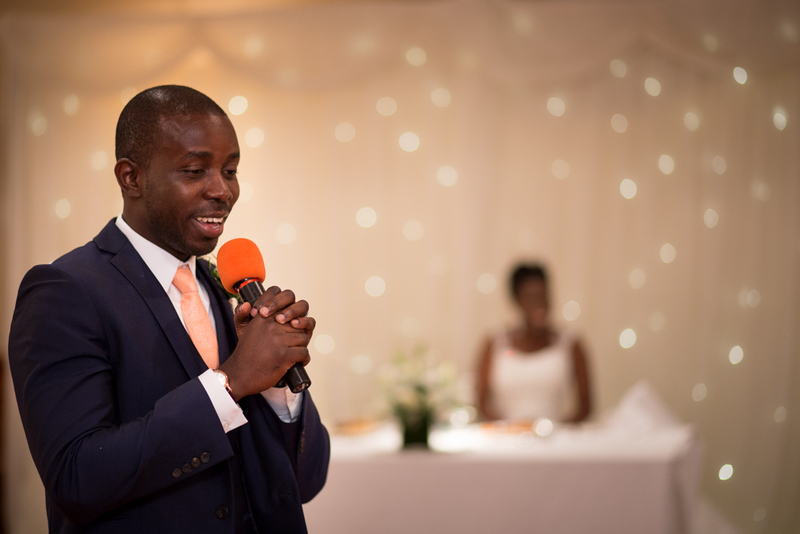 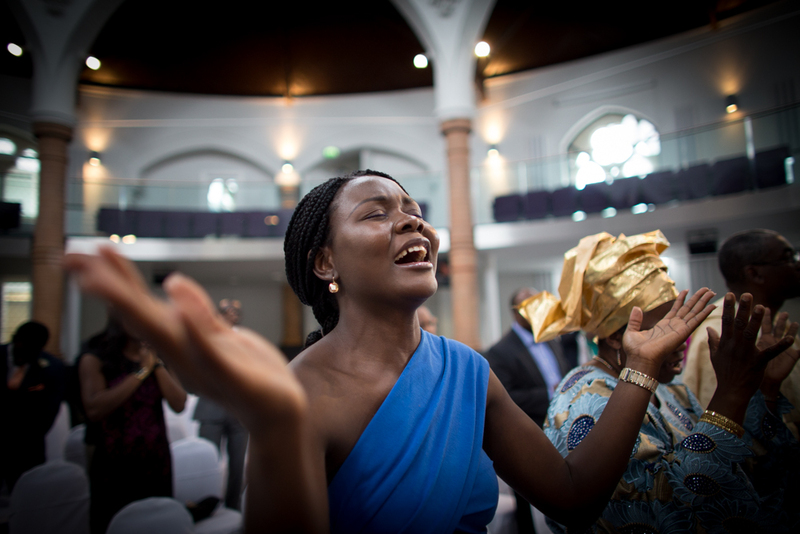 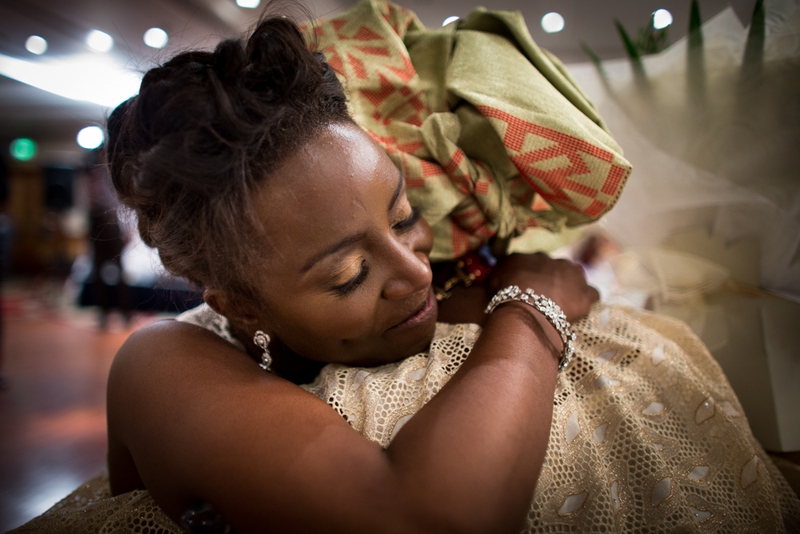 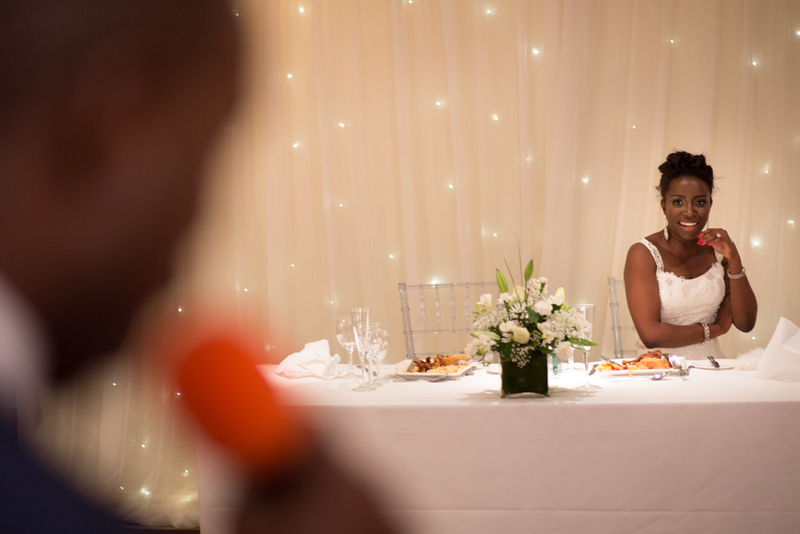 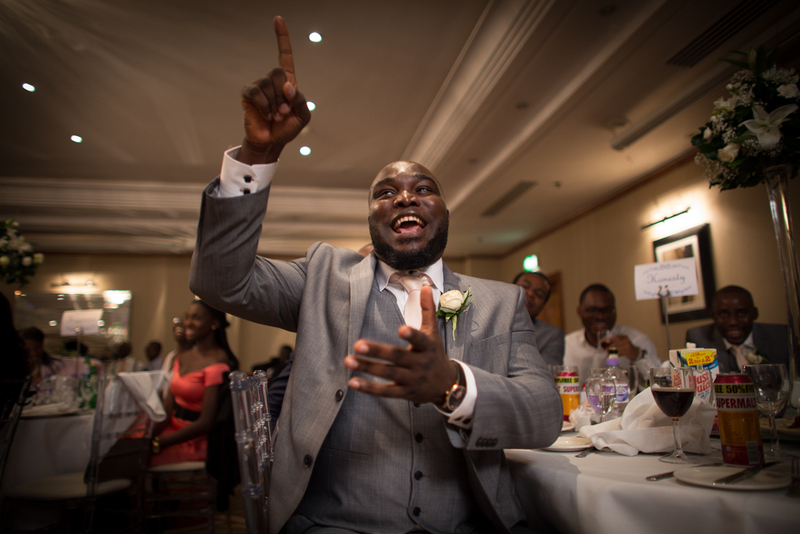 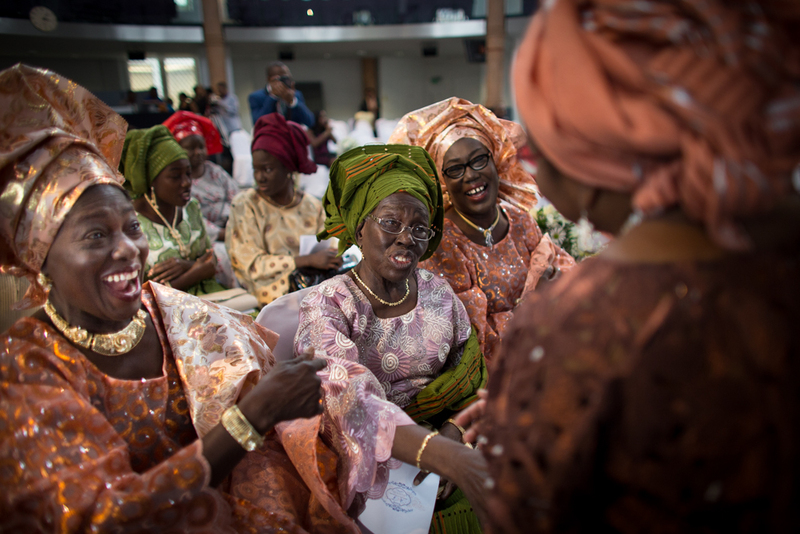 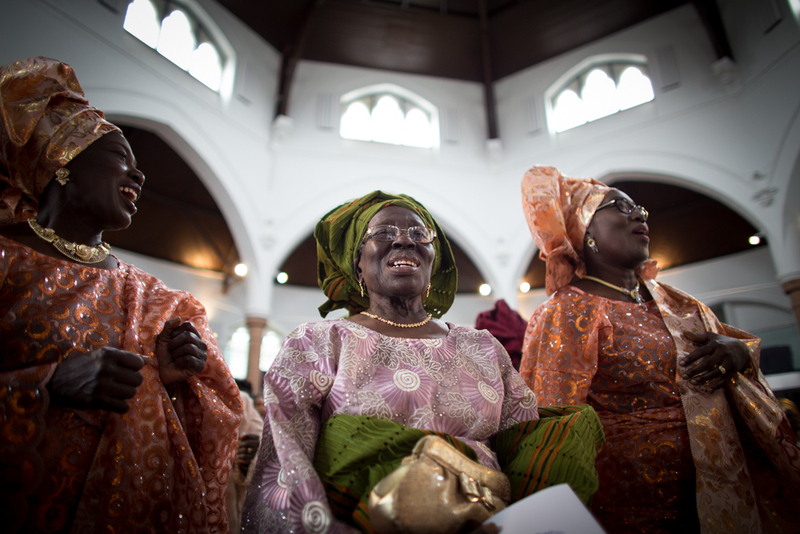 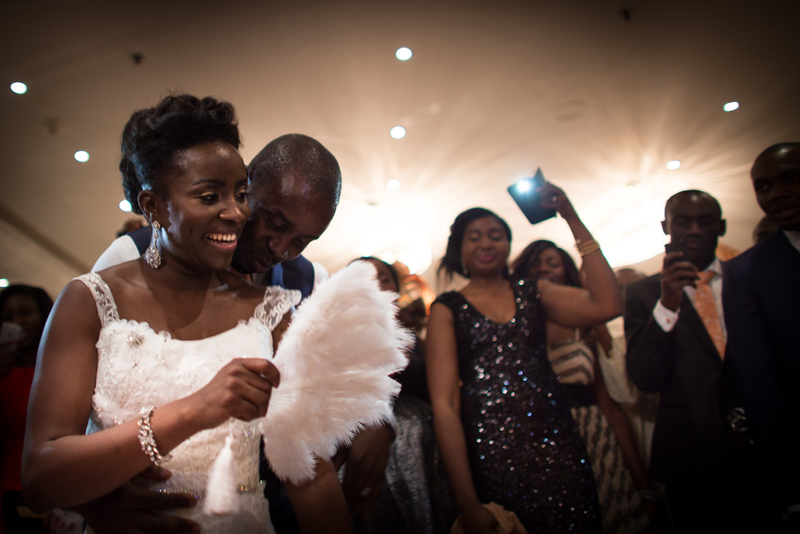 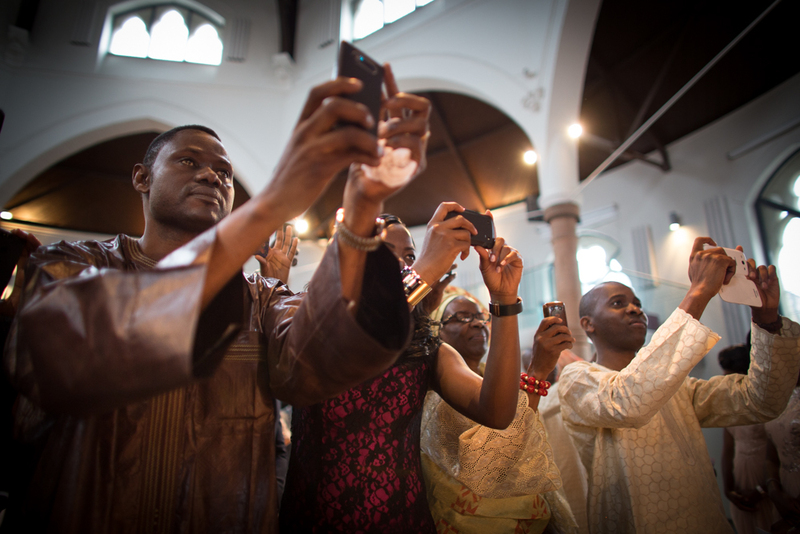 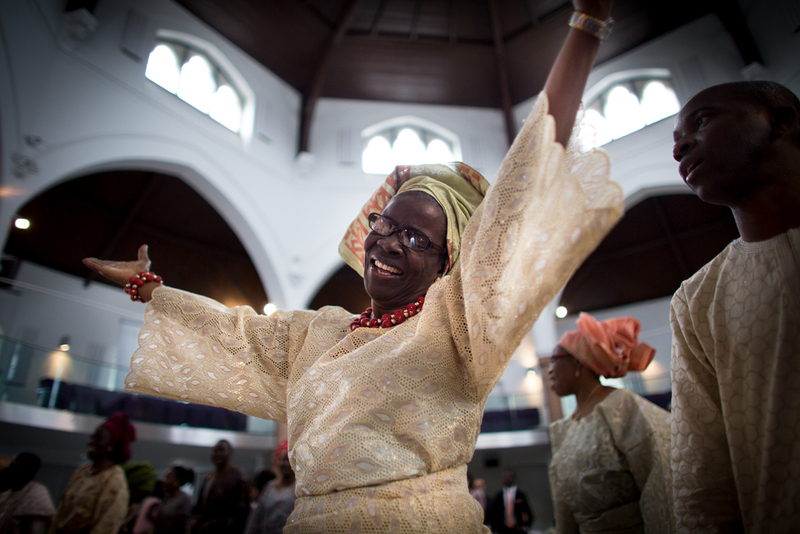 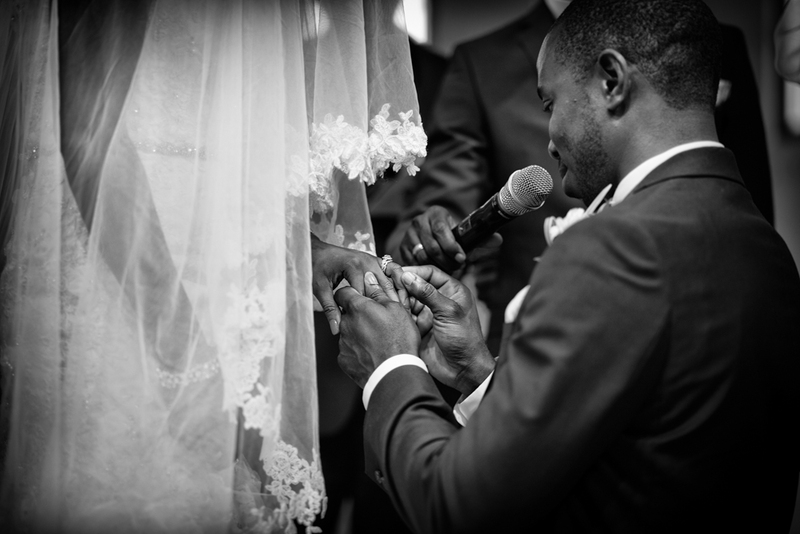 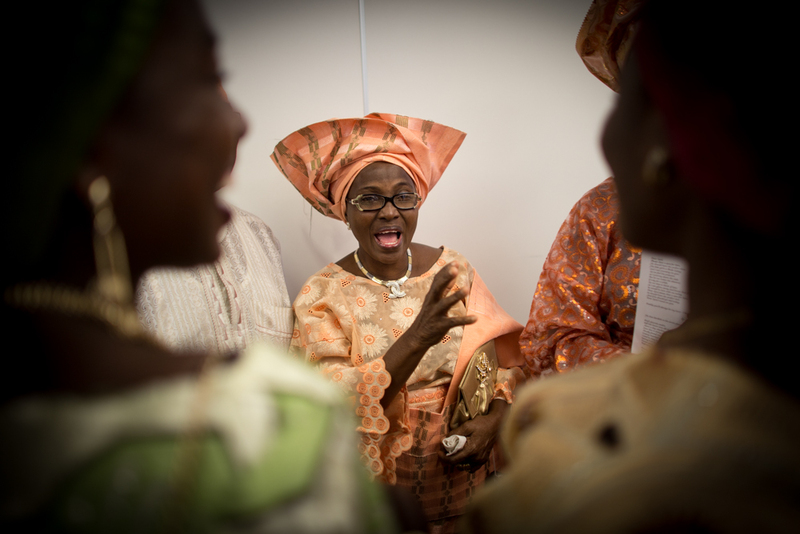 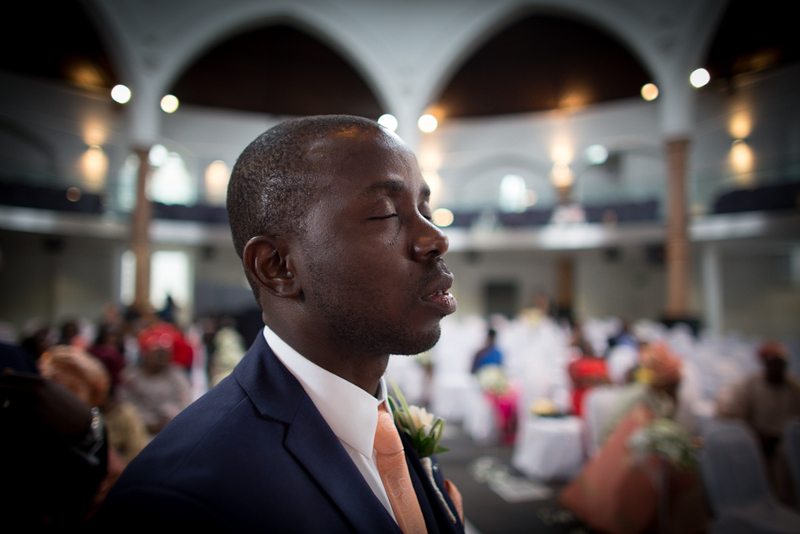 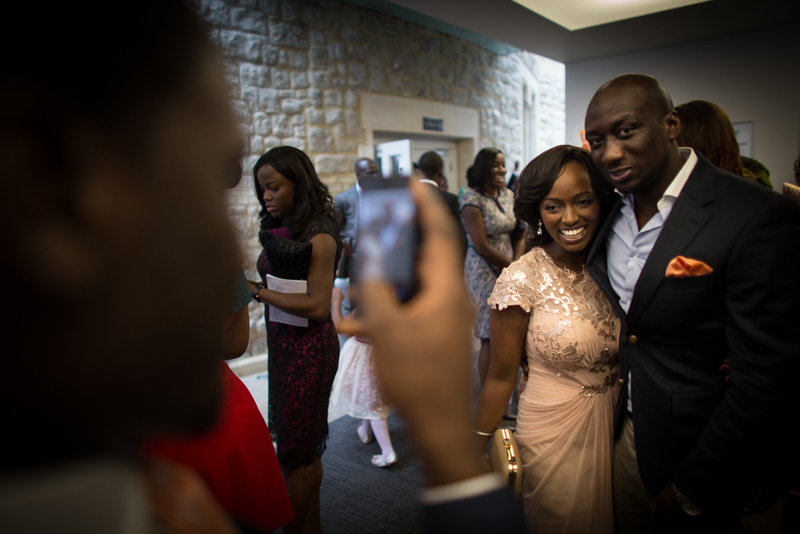 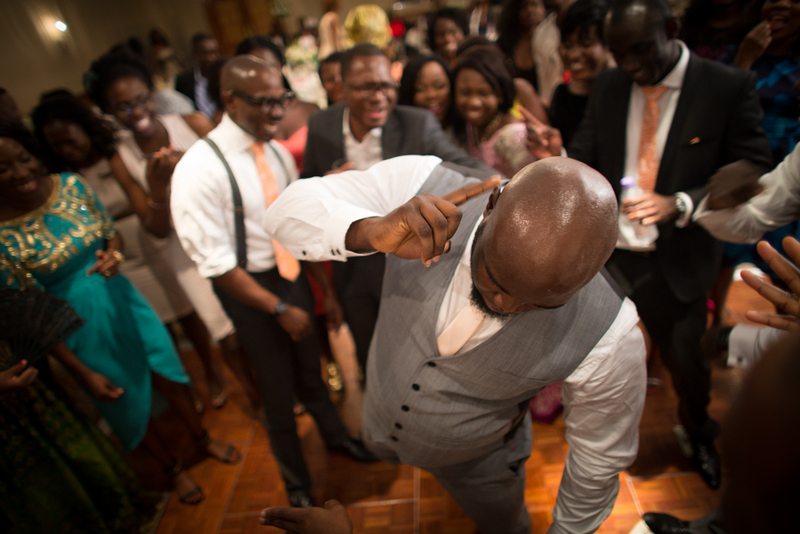 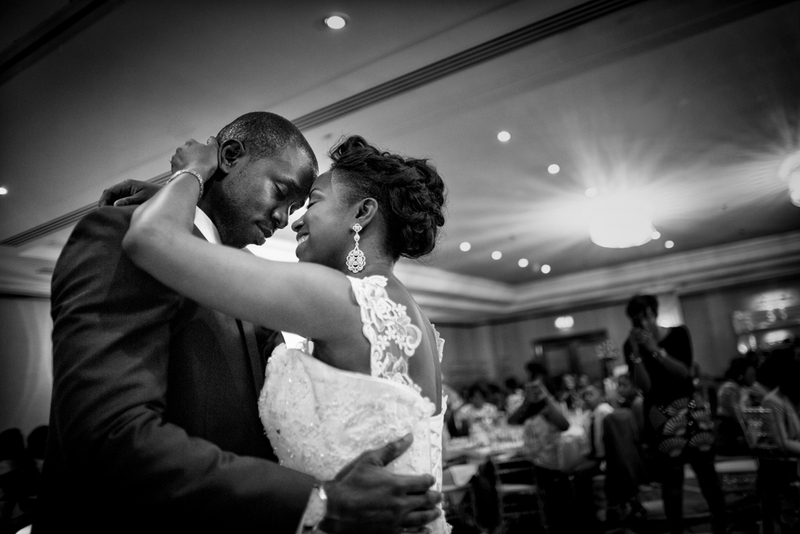 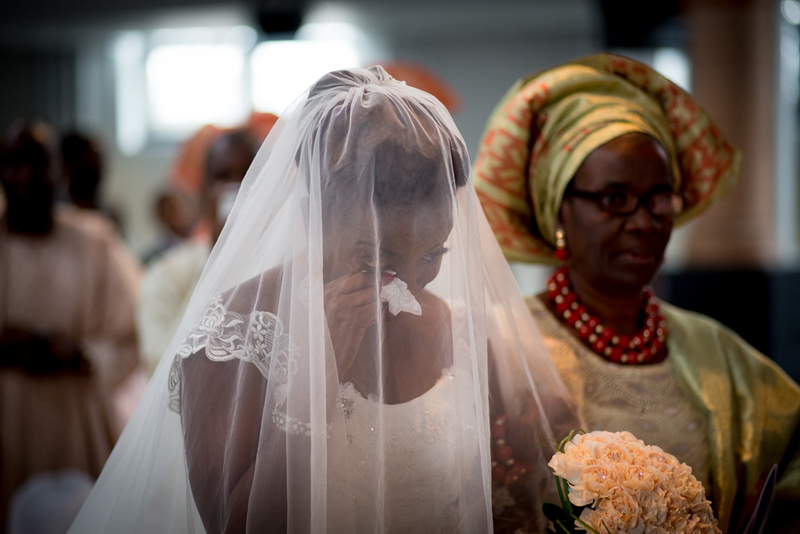 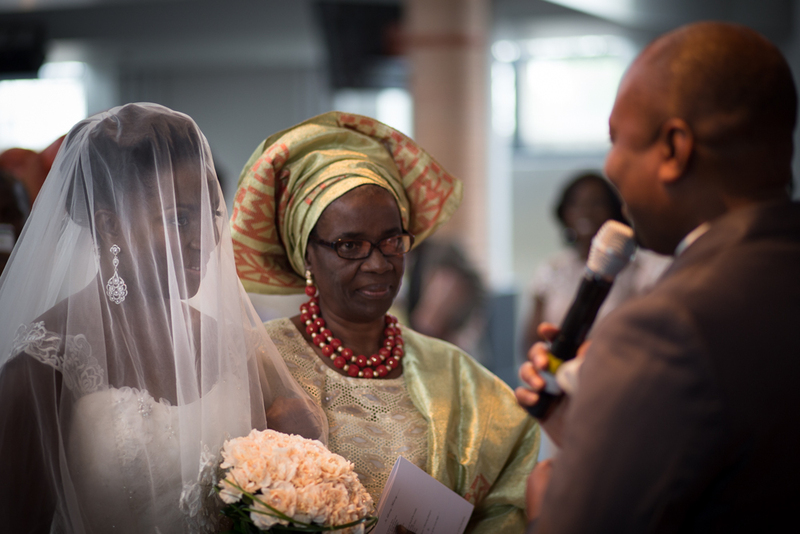 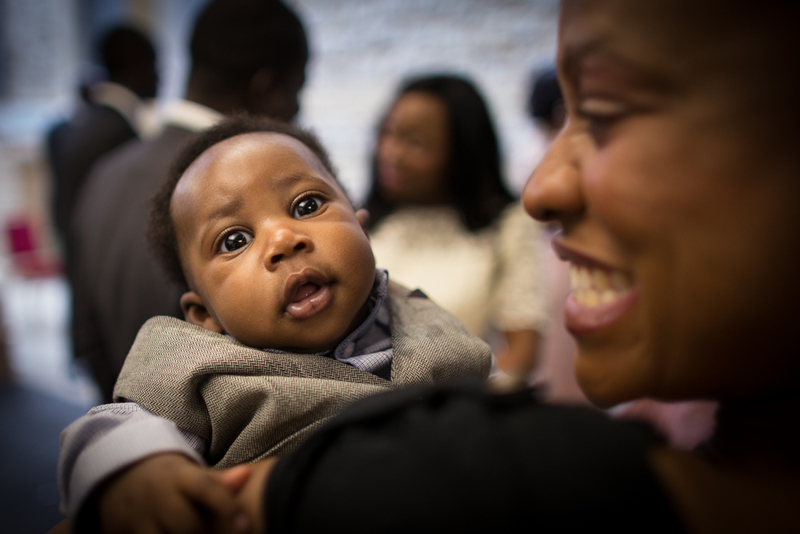 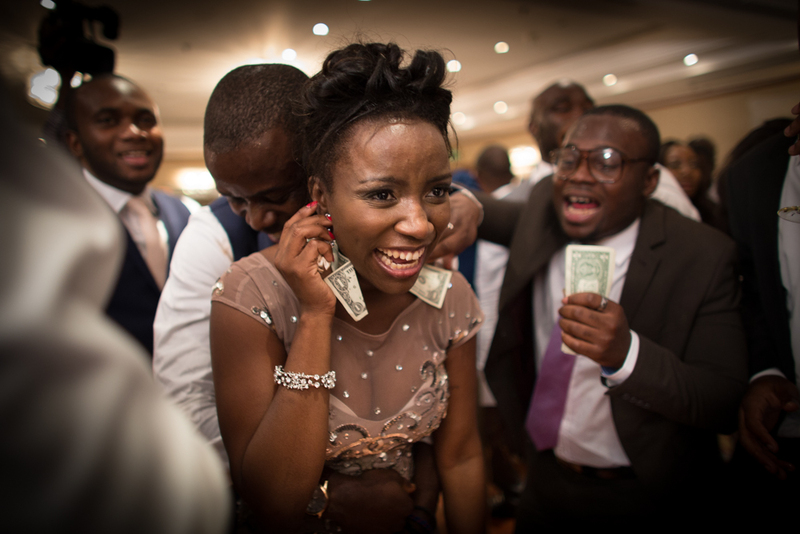 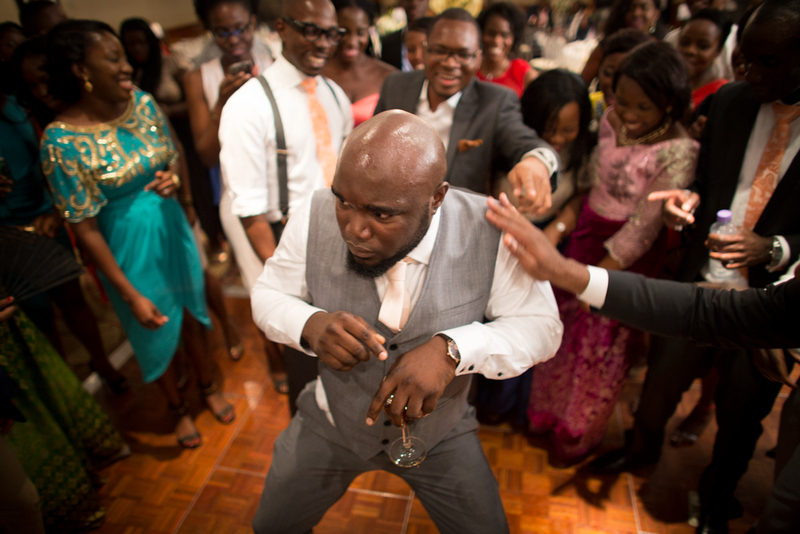 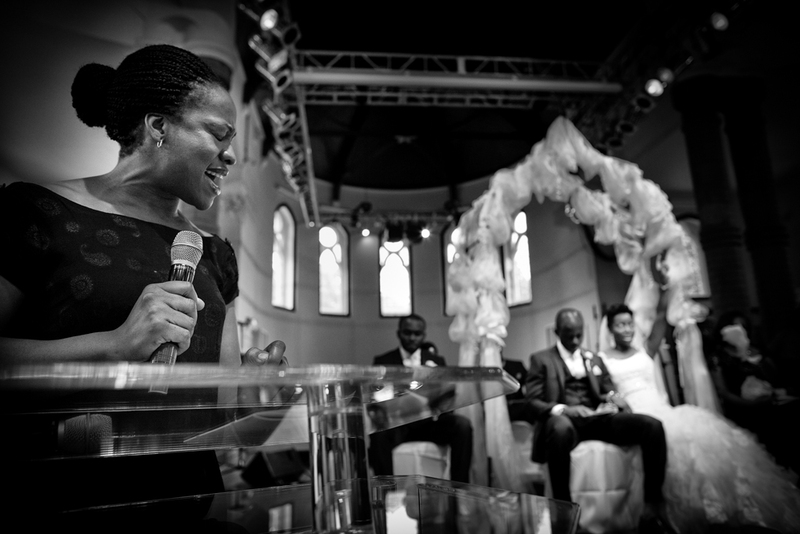 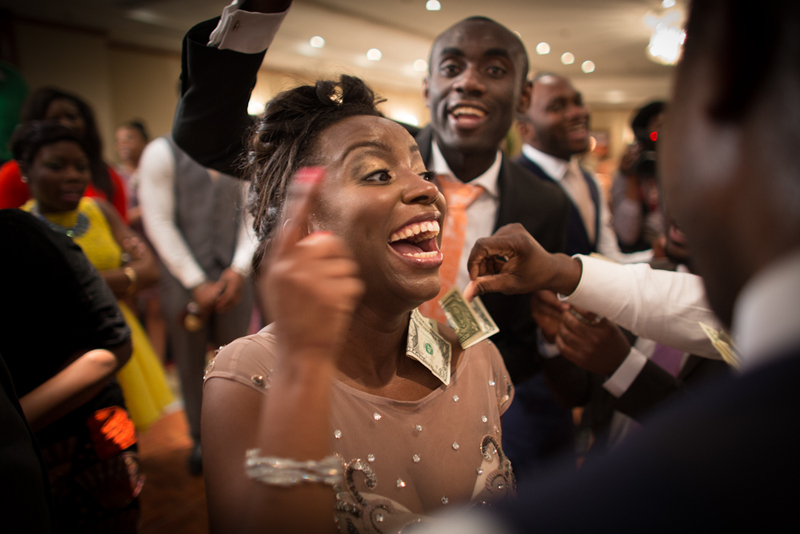 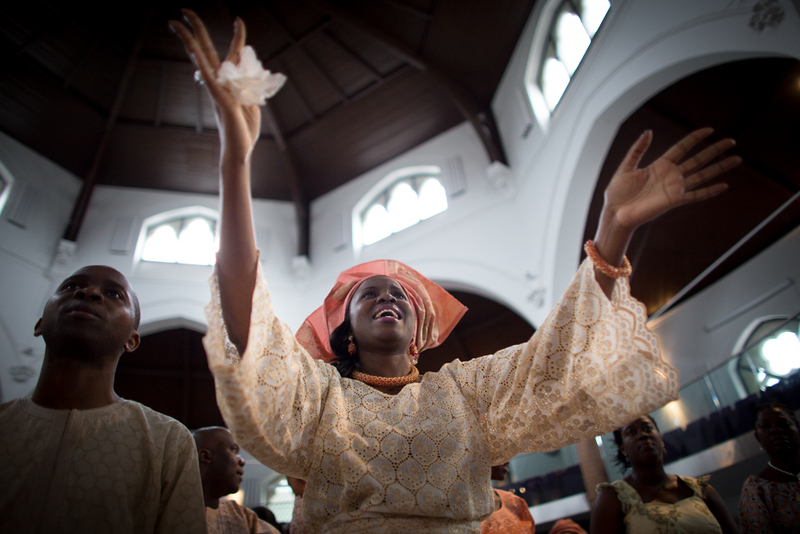 Ayo & Funmi’s wedding has to be one of the most enjoyable weddings I’ve had the privilege of shooting this year! 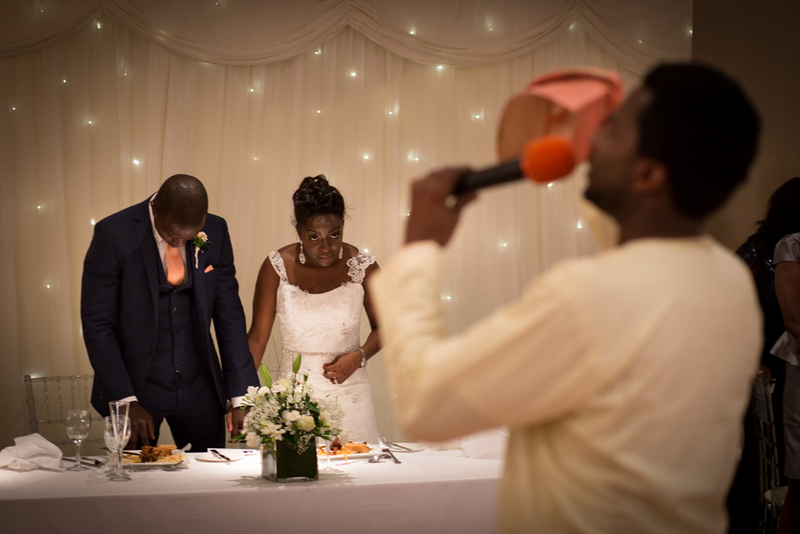 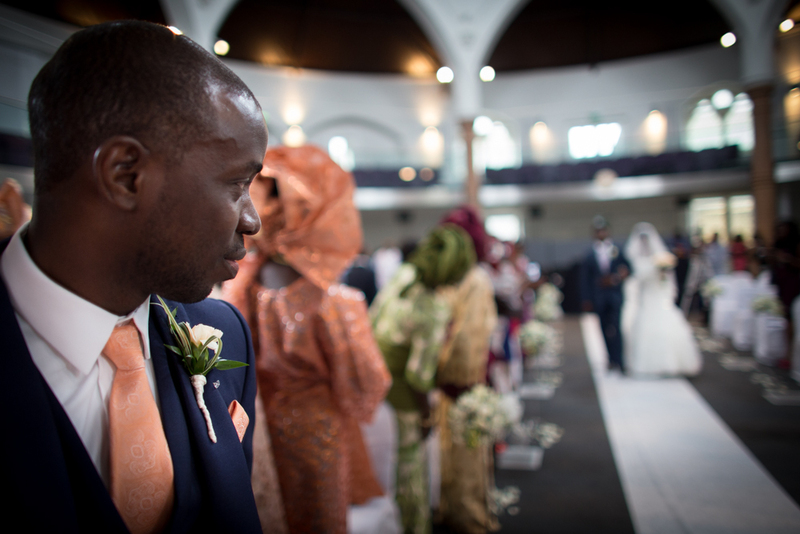 Shooting alongside the extremely talented Neale James (www.nealejames.com), this is the first Nigerian wedding I’ve covered, and I can honestly say that I’ve never experienced anything quite like it! 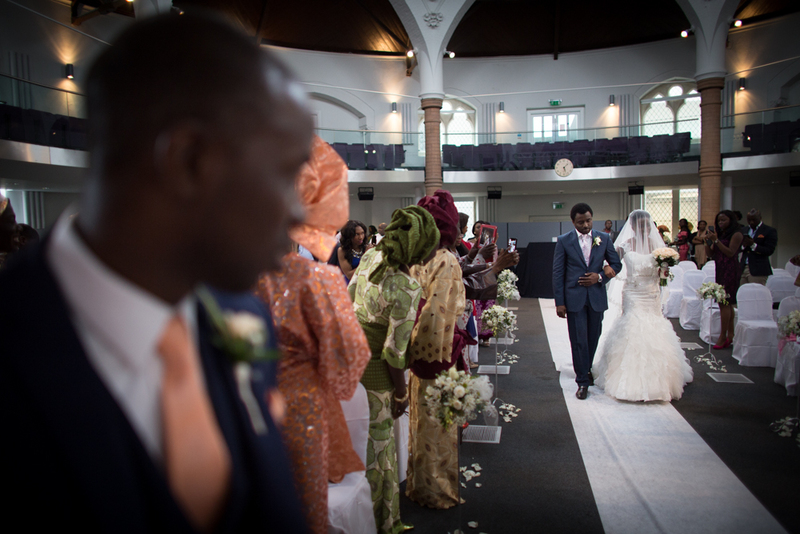 The day was filled with colour, fun and never ending celebration. 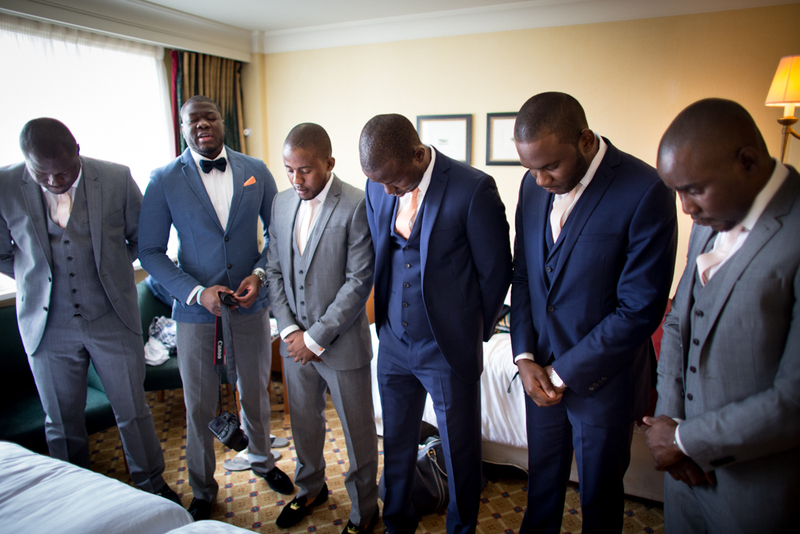 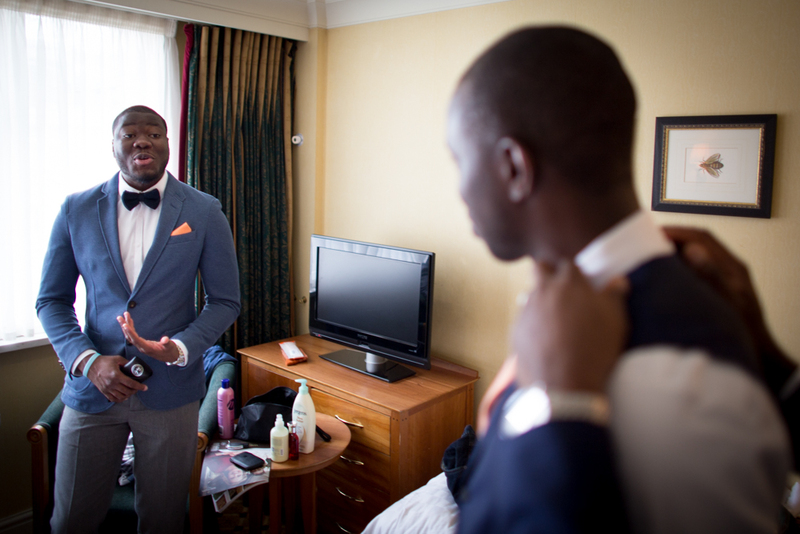 I started the day with Ayo & his friends making their final preparations before leaving. 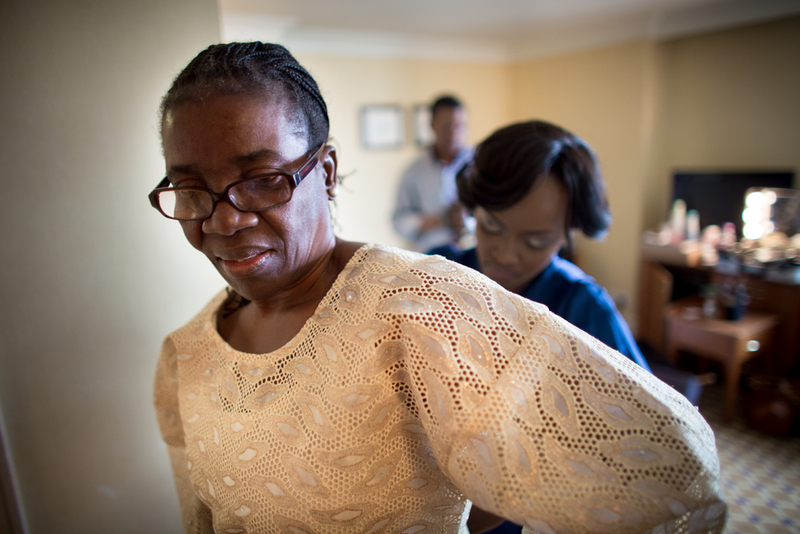 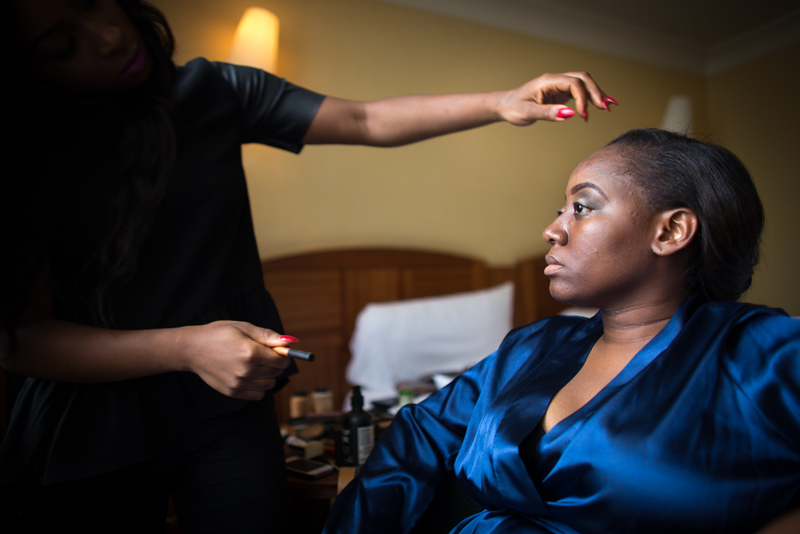 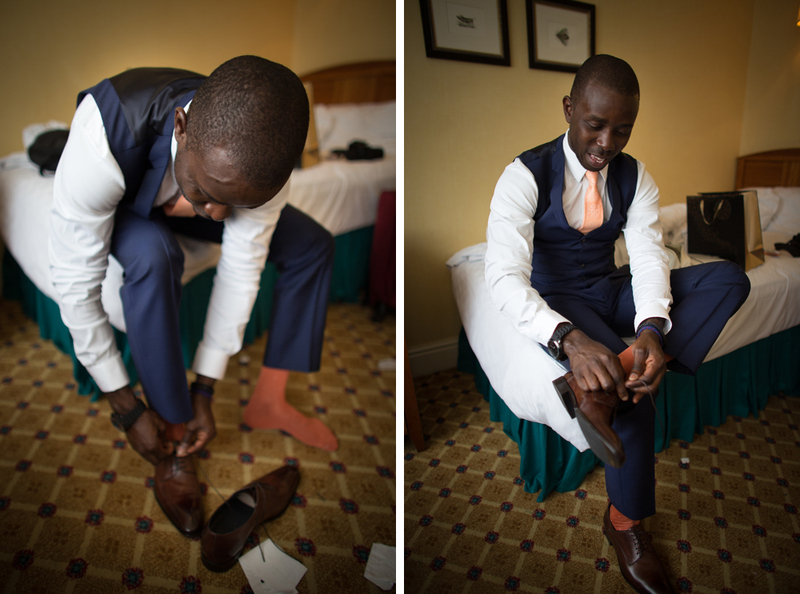 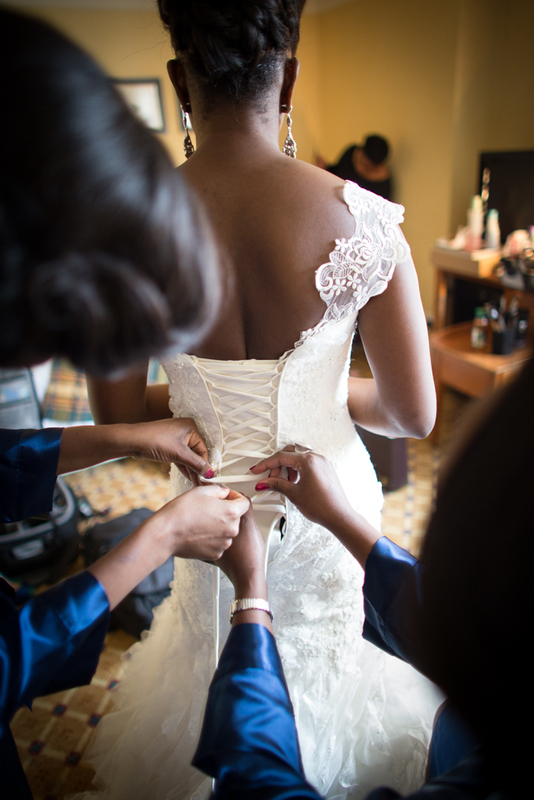 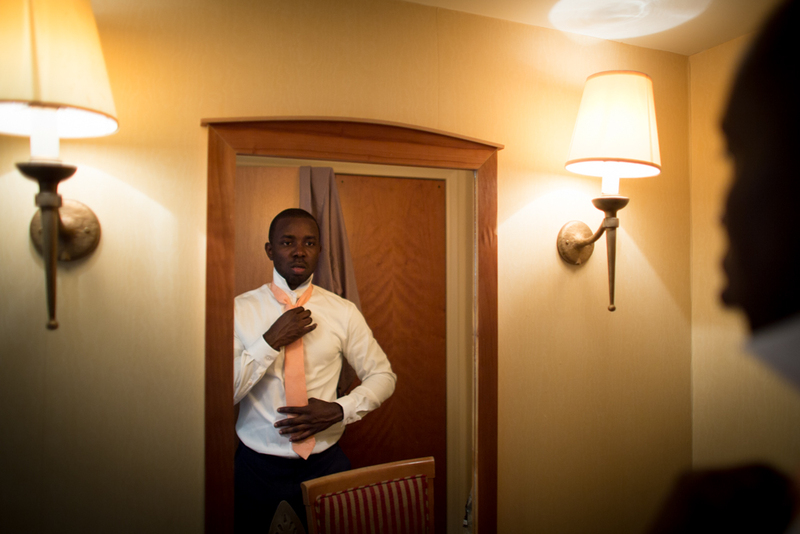 It’s rare for me to be able to be fortunate enough to capture both sets of preparations, but as the Bride & Groom were staying in the same hotel as each other, it allowed me to move across to the latter part of the Bridal preparations. 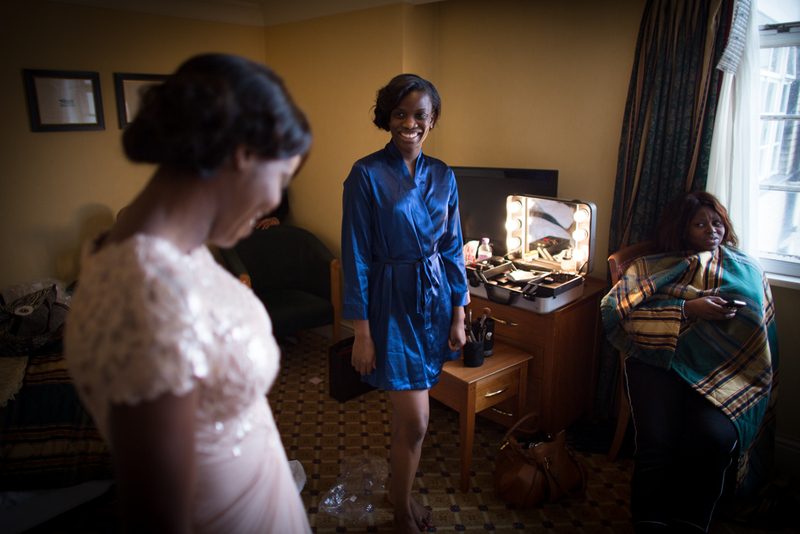 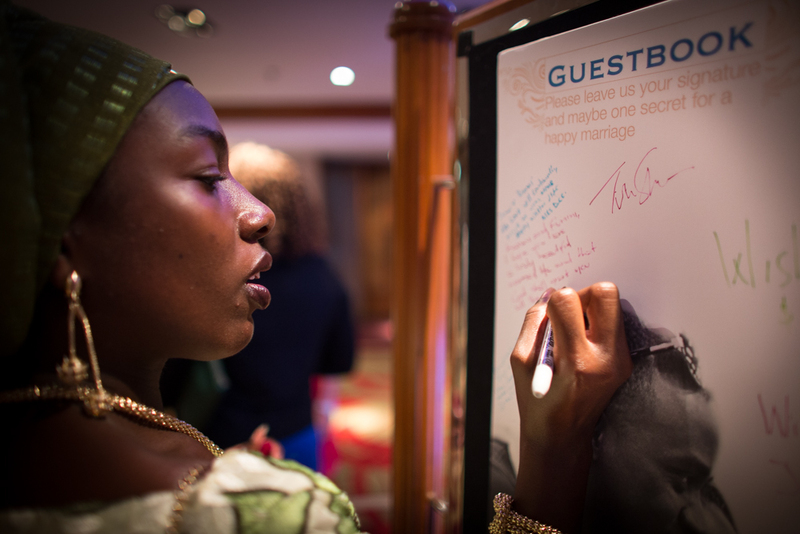 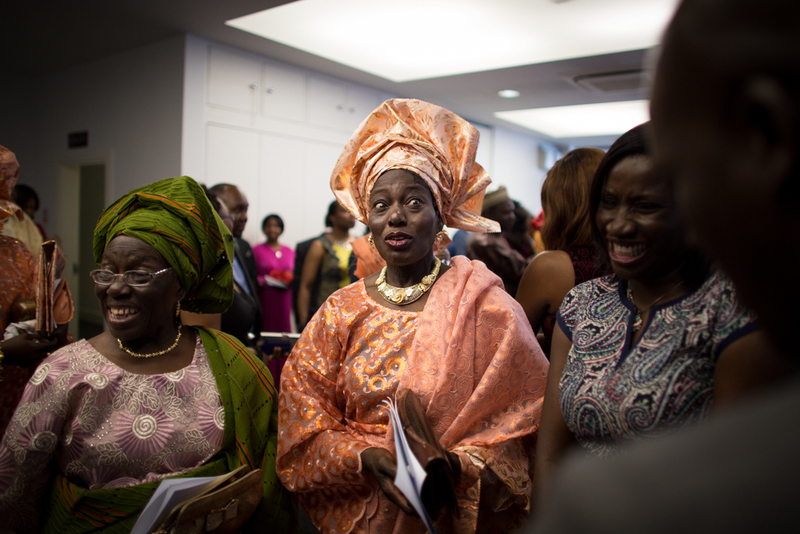 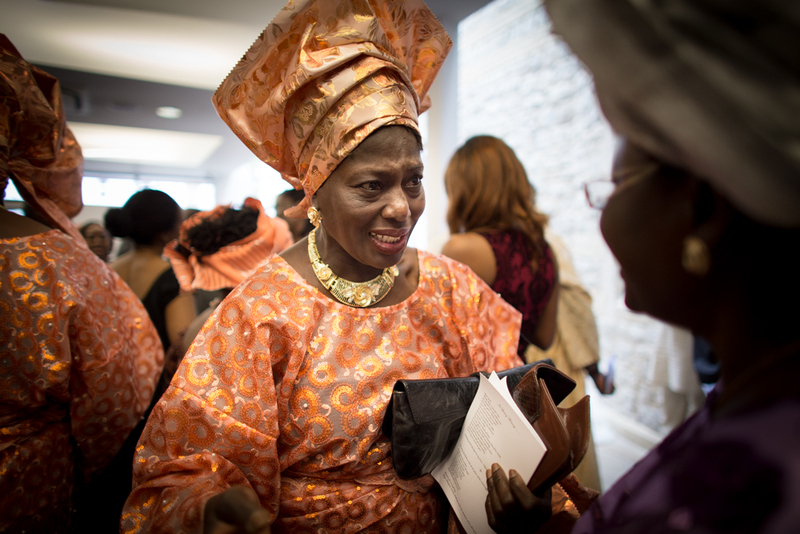 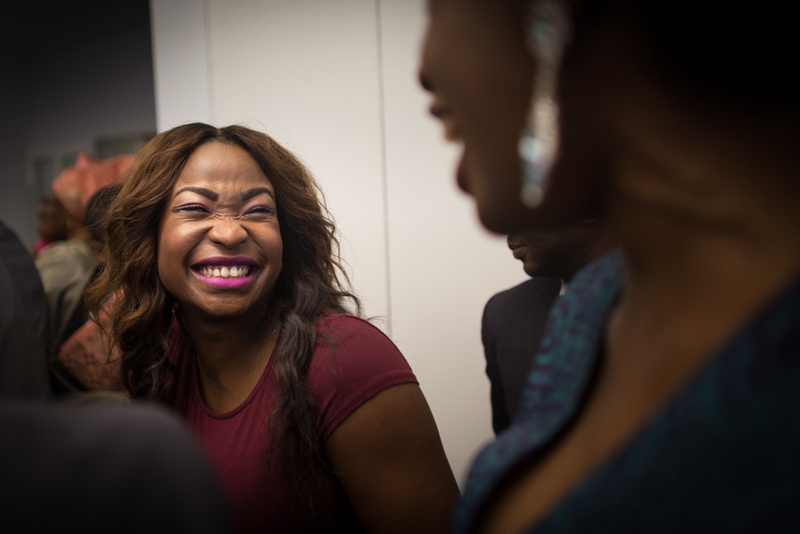 Funmi’s room was a hive of activity – a strong contrast to what I’d just witnessed with the guys! 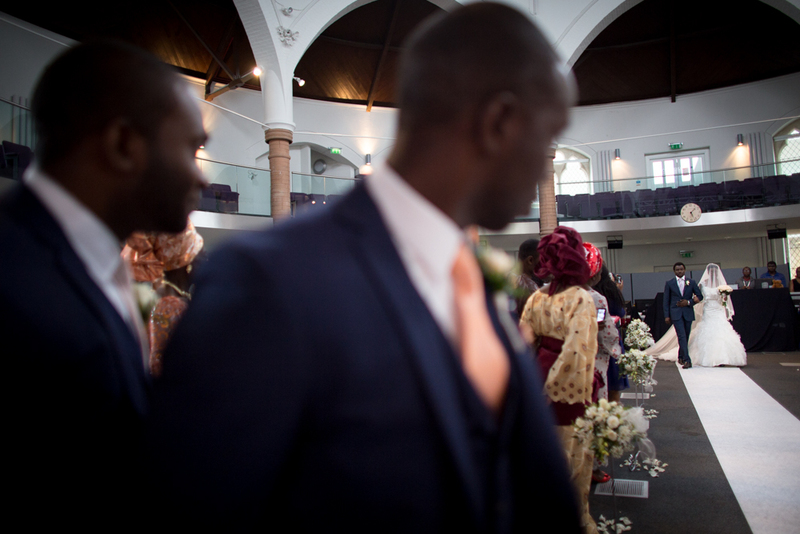 We were very kindly granted free reign to move around as we pleased during the ceremony – music to the ears of a documentary style wedding photographer. 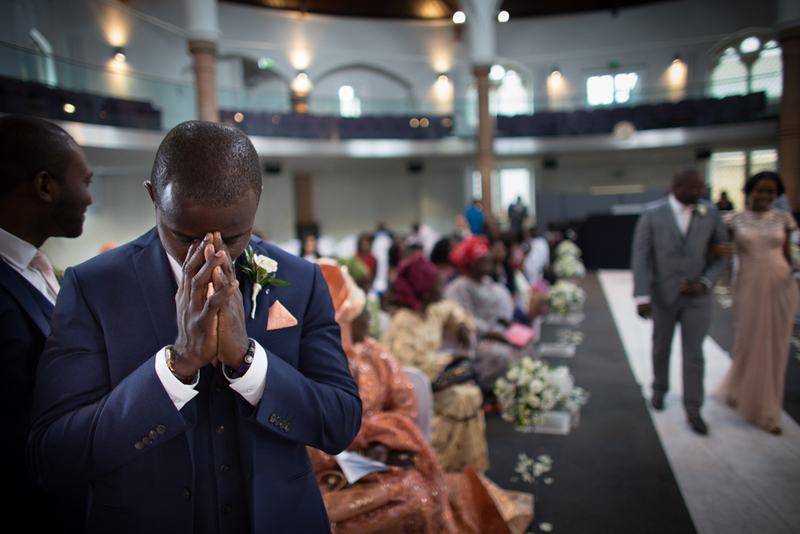 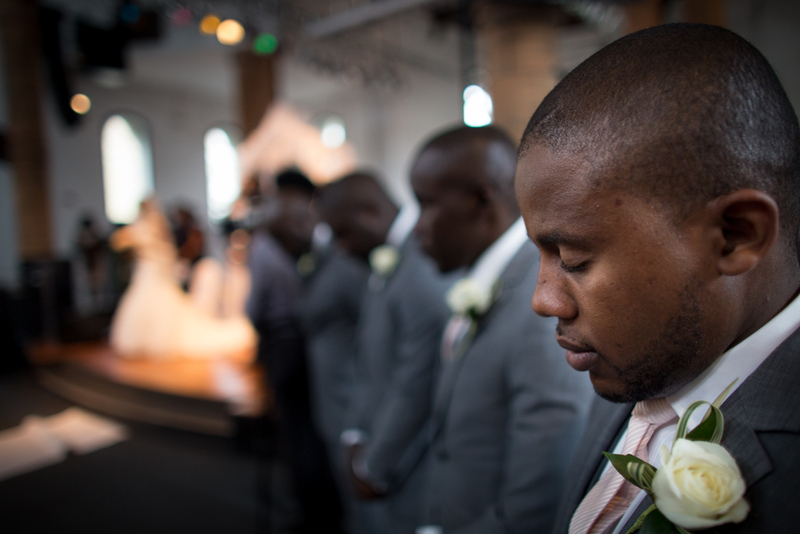 This resulted in me being able to capture a lovely shot of the couple being blessed by the Pastor & some of the Ministers of the church – possibly one of my favourite images from this year. 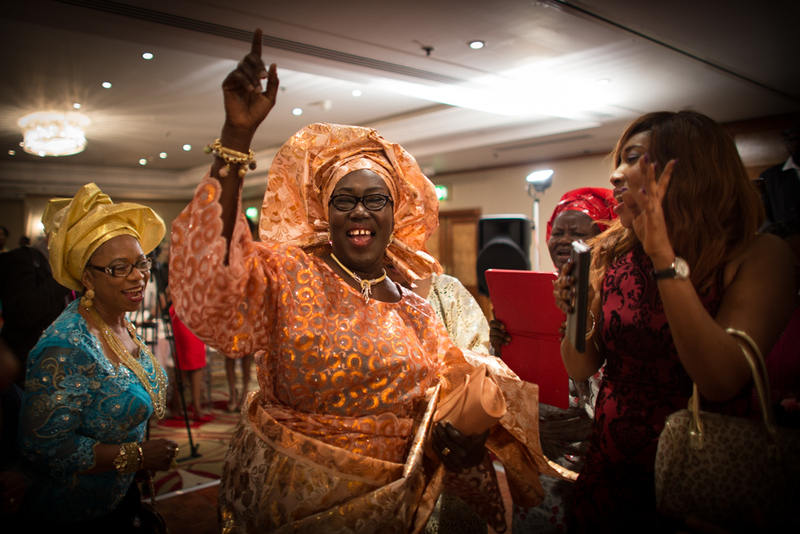 The celebrations continued back at the hotel in Marble Arch where the preparations had taken place in the morning. 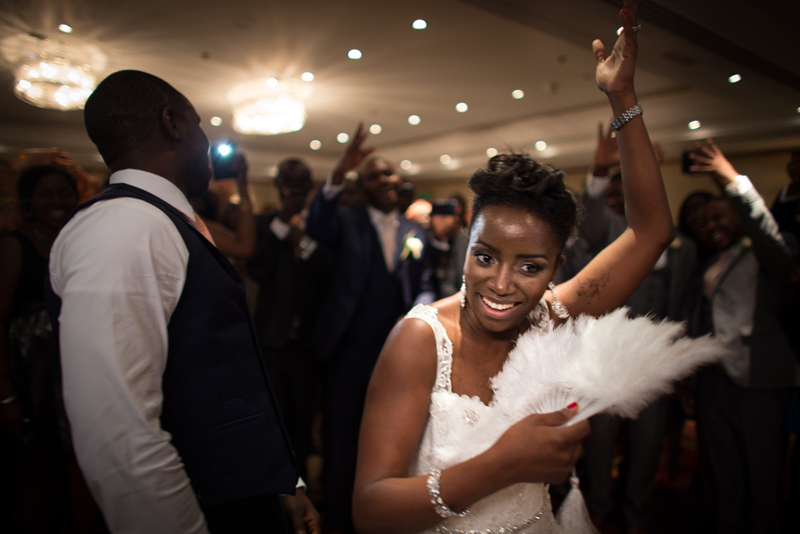 The Bride & Groom made their grand entrance into the room along with their respective families and we were privy to some amazing dancing. 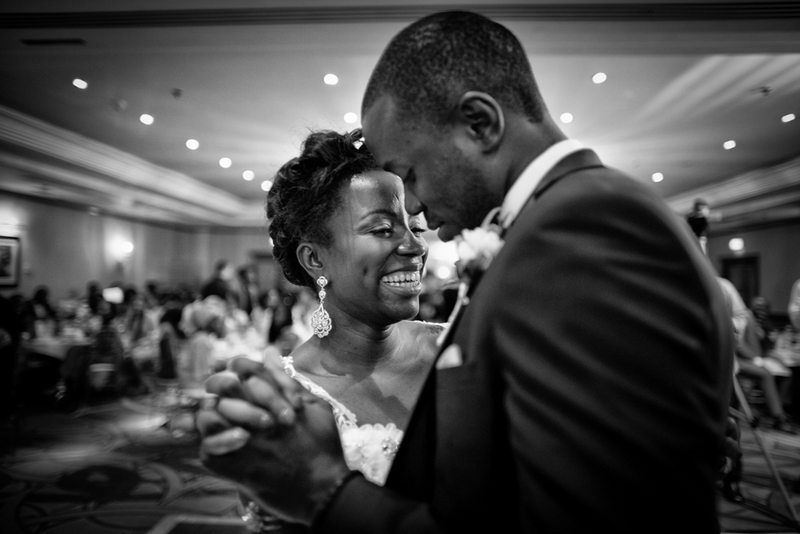 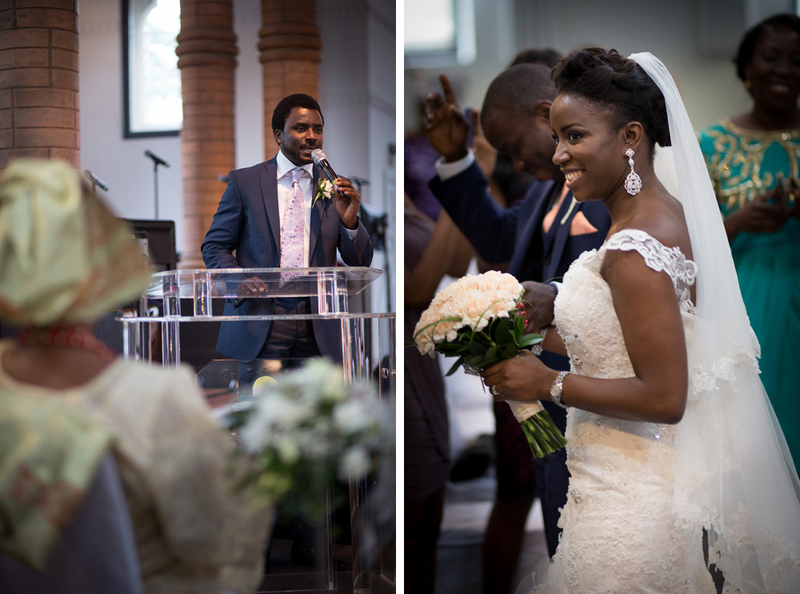 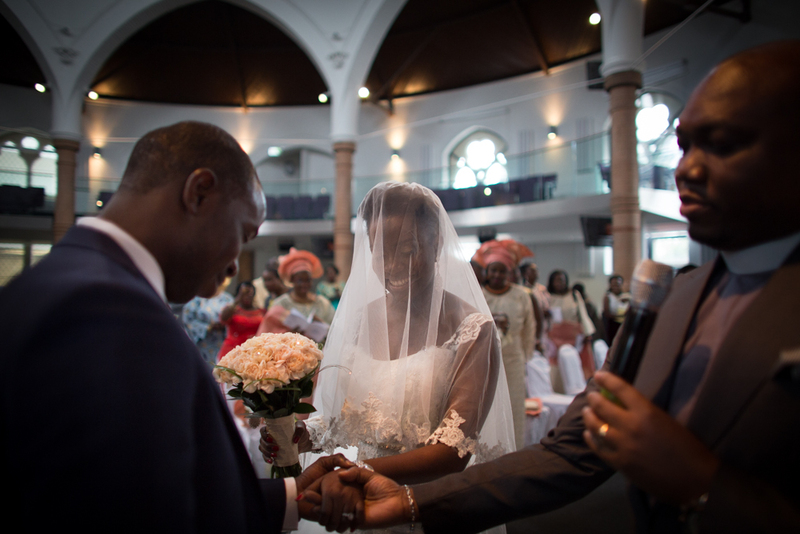 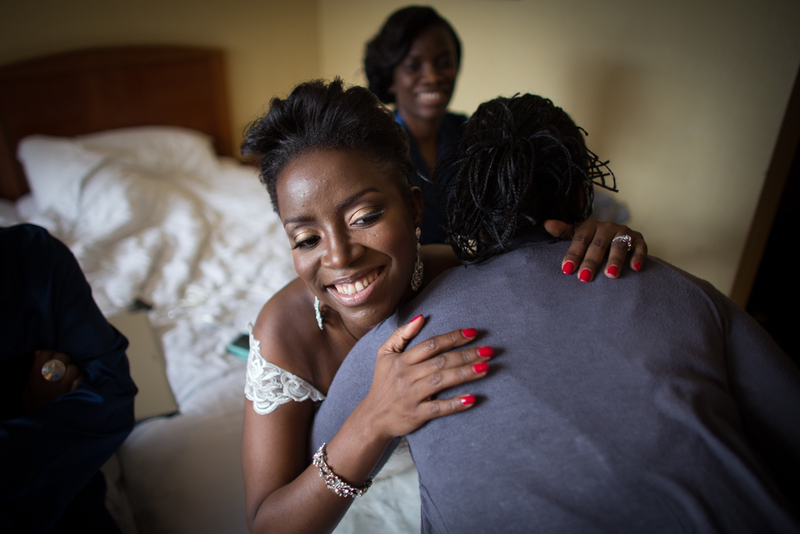 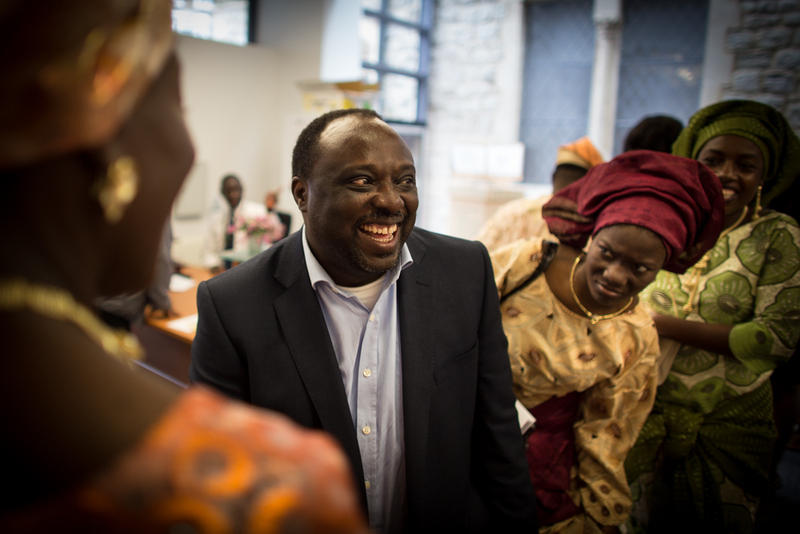 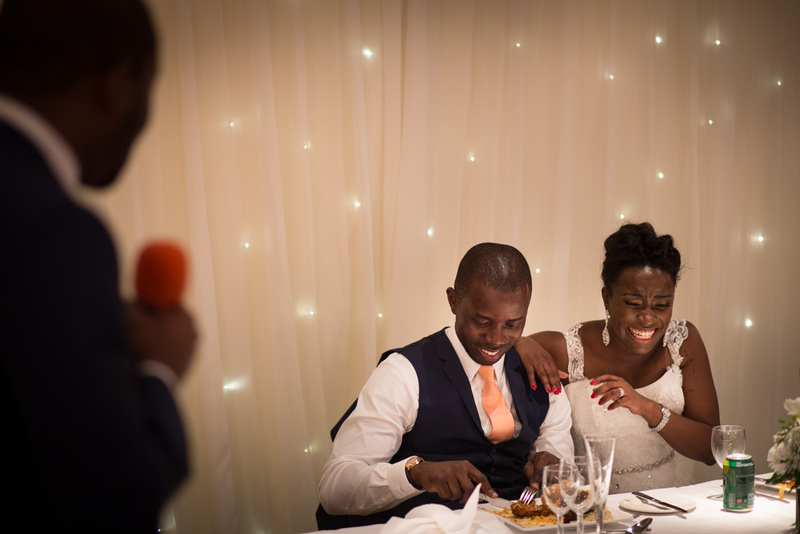 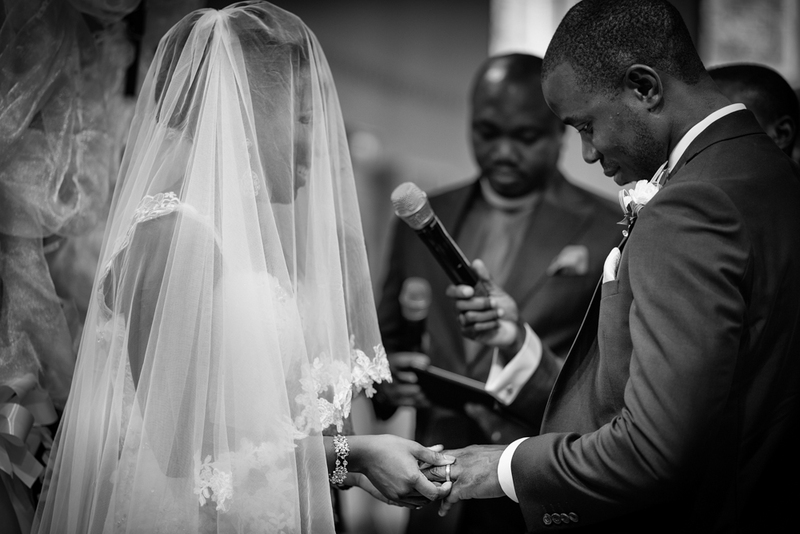 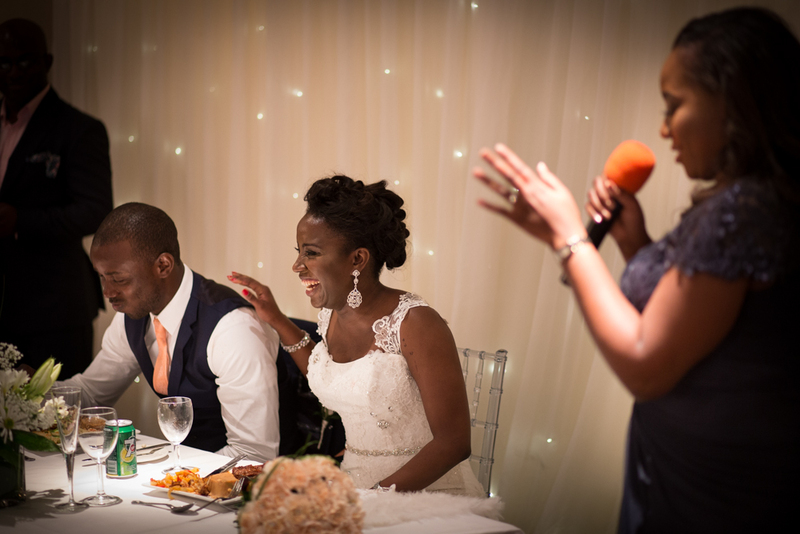 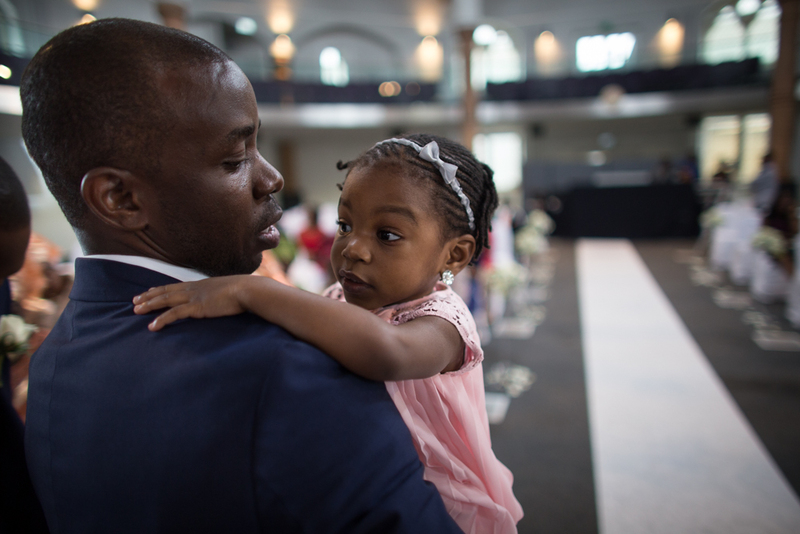 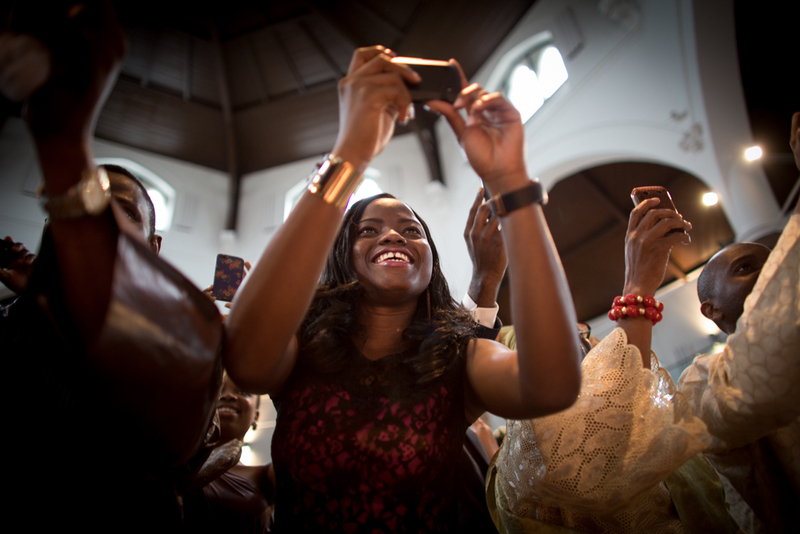 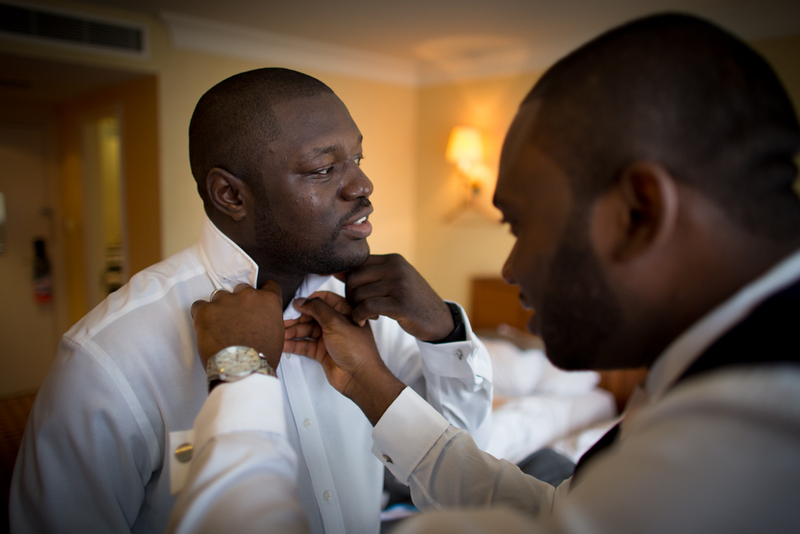 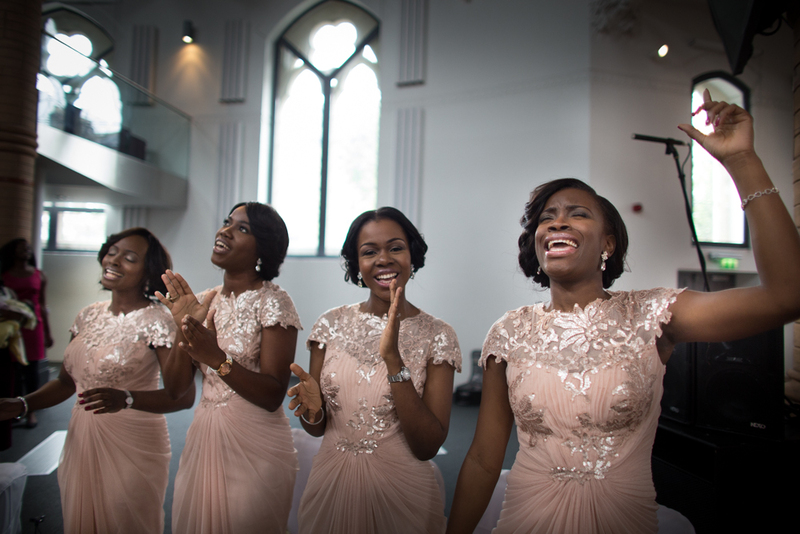 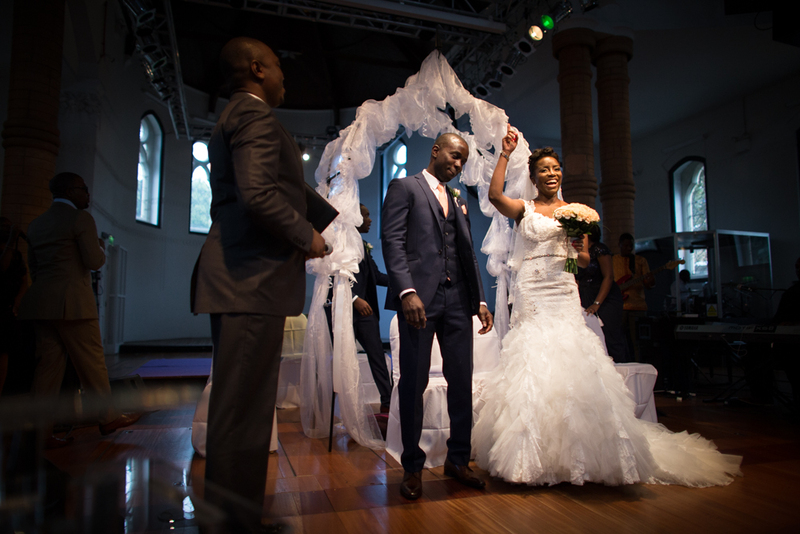 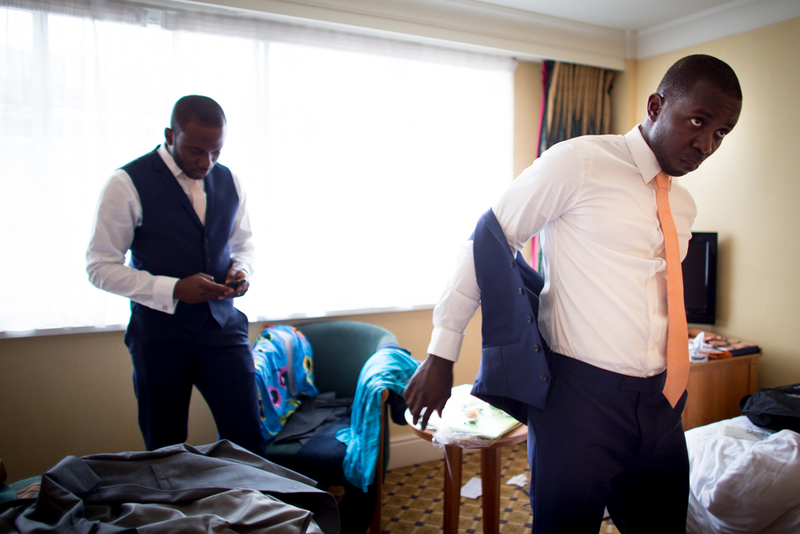 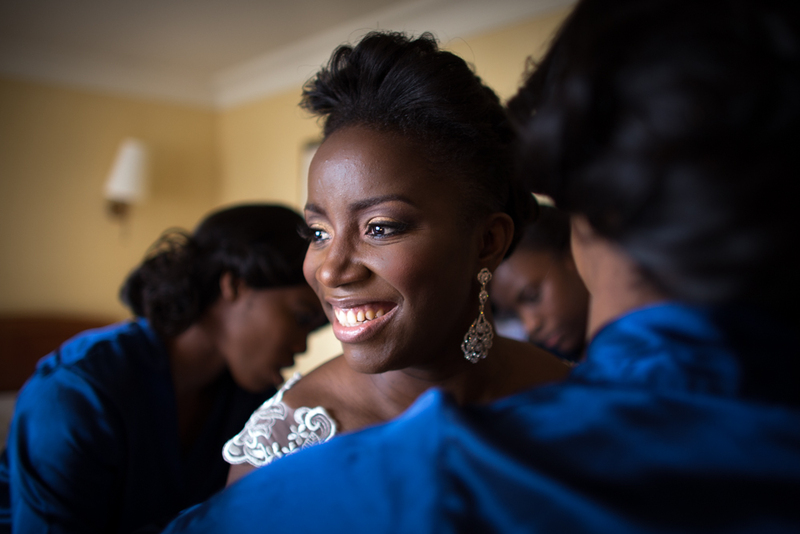 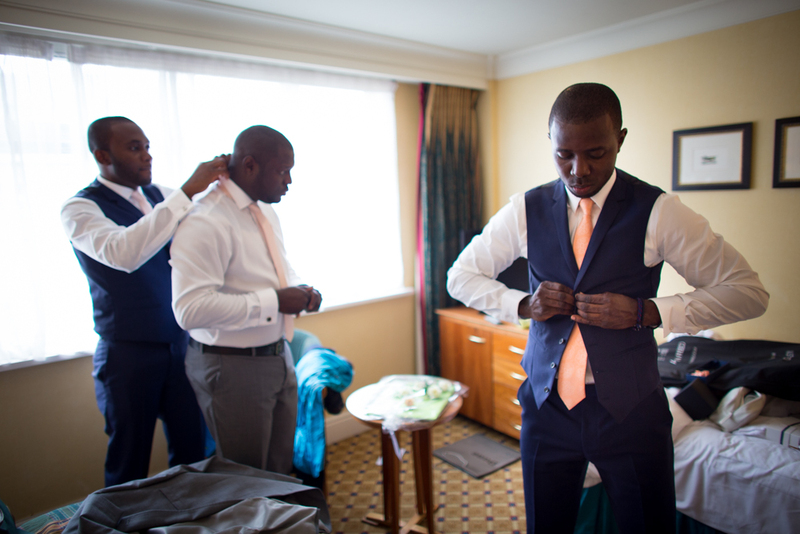 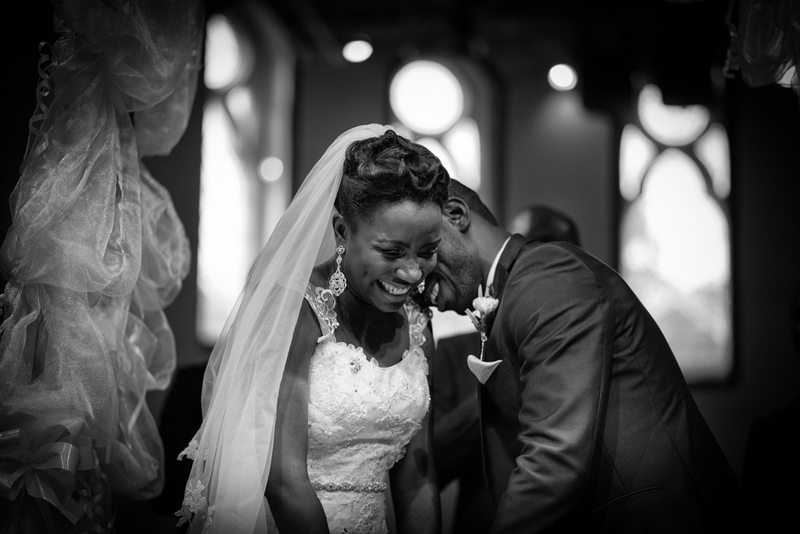 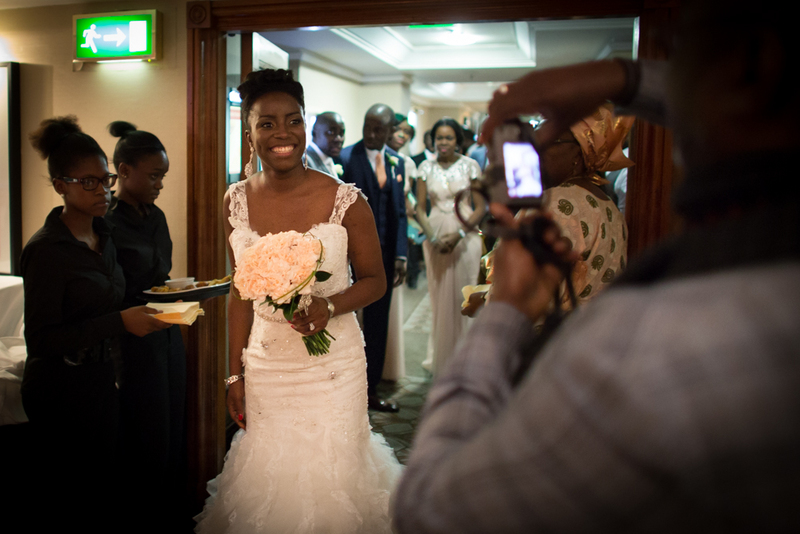 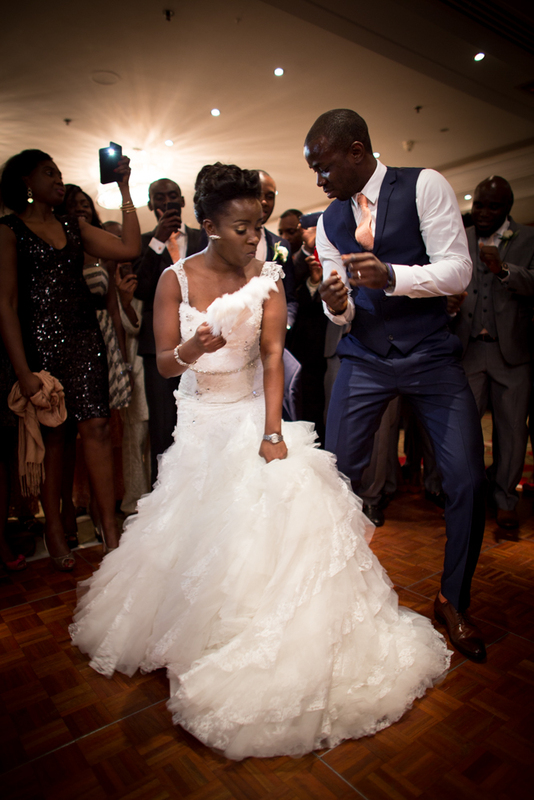 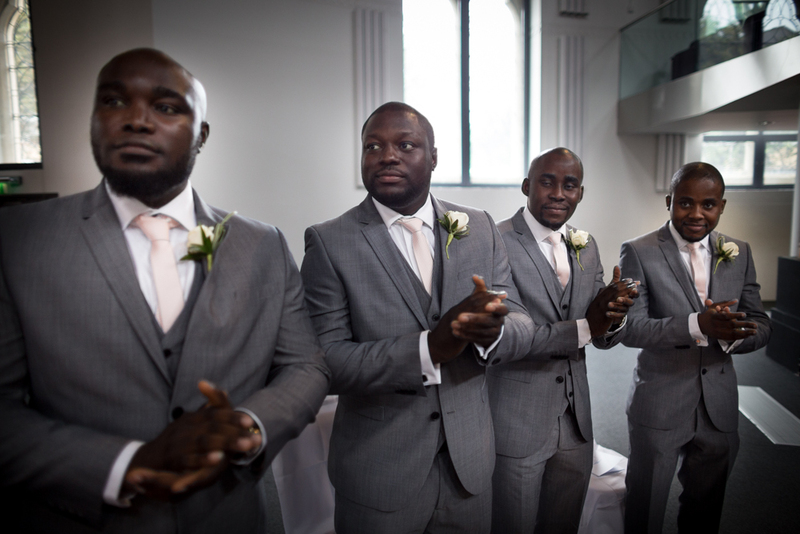 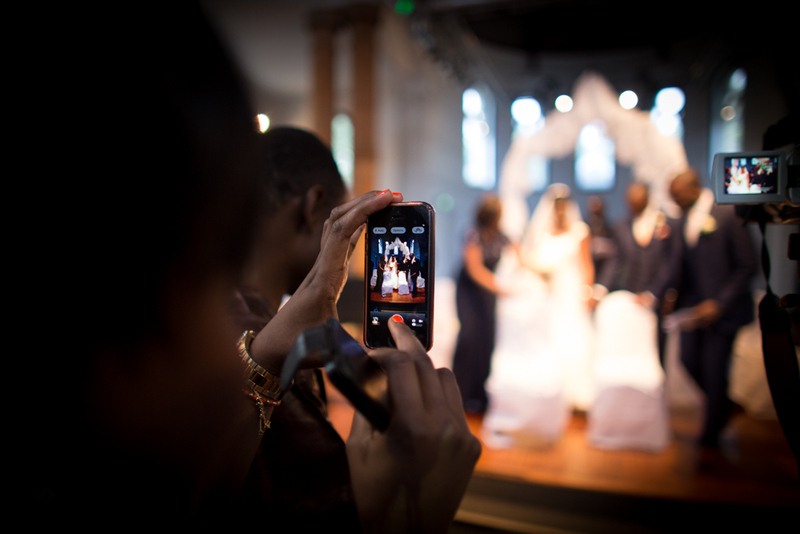 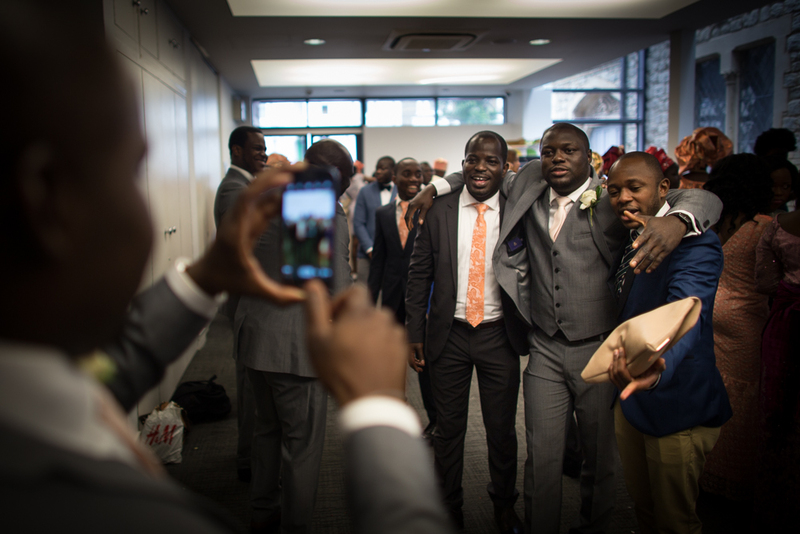 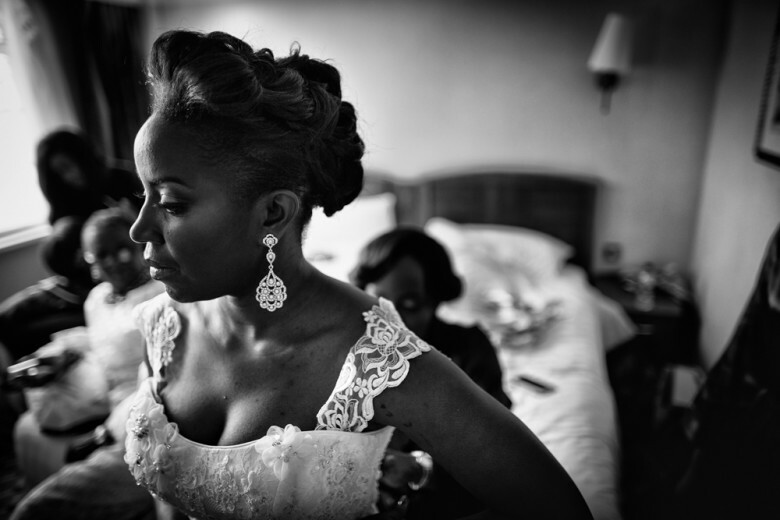 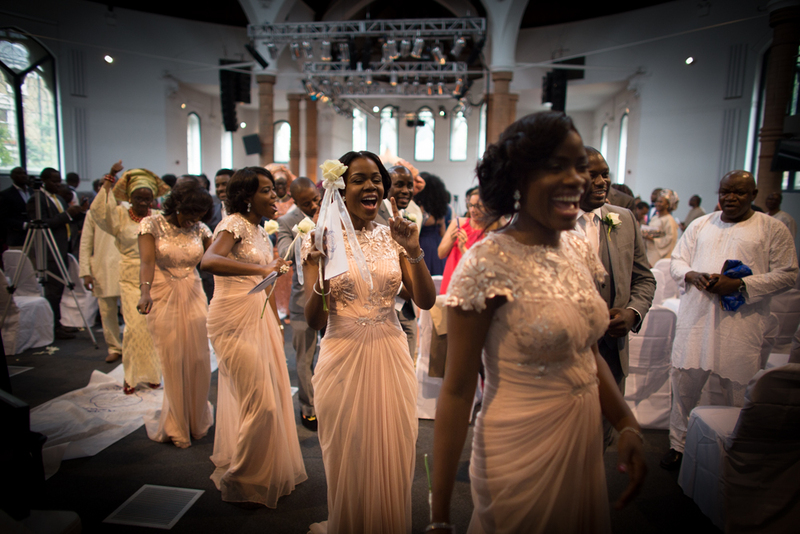 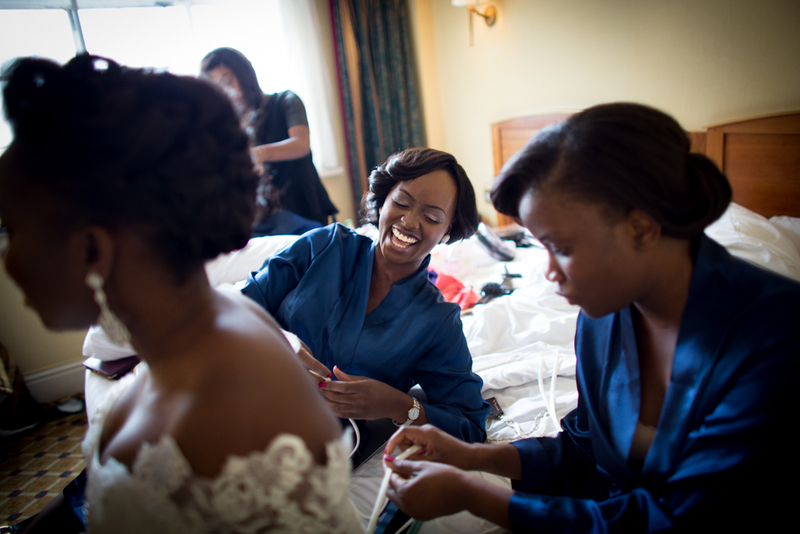 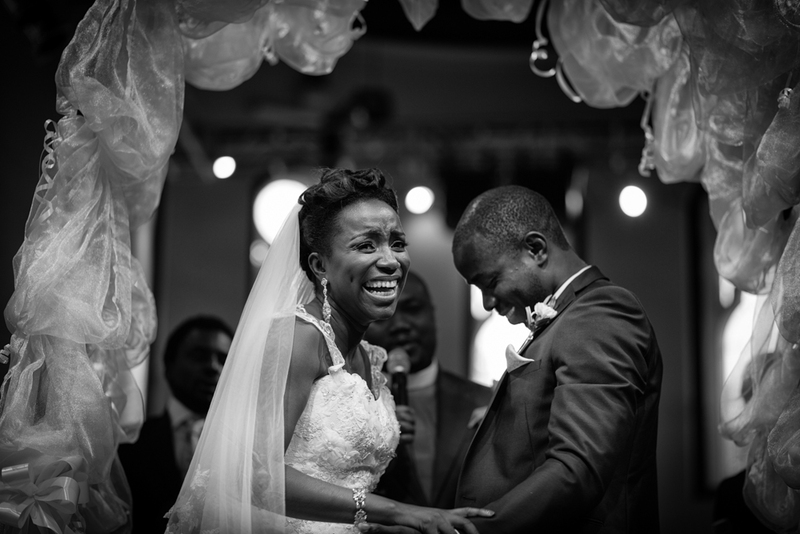 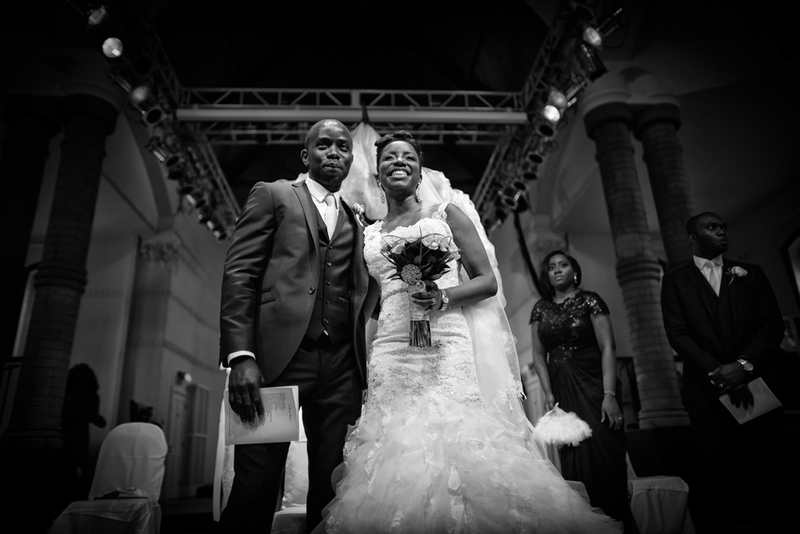 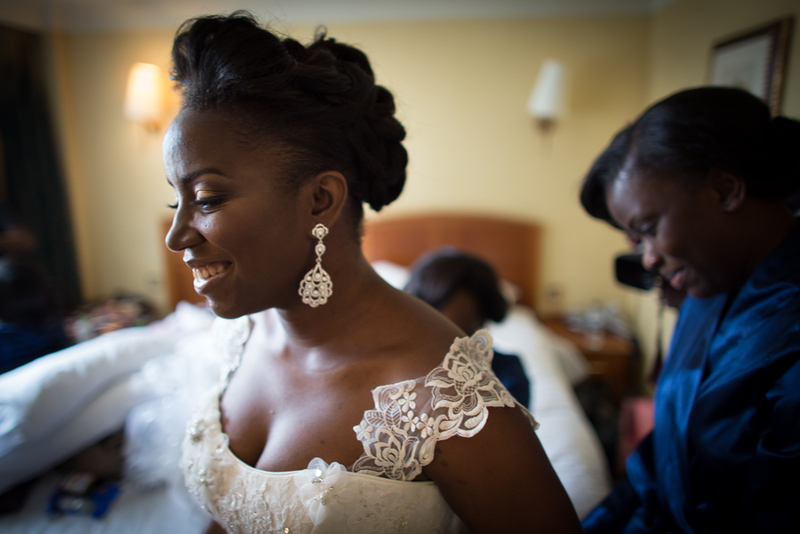 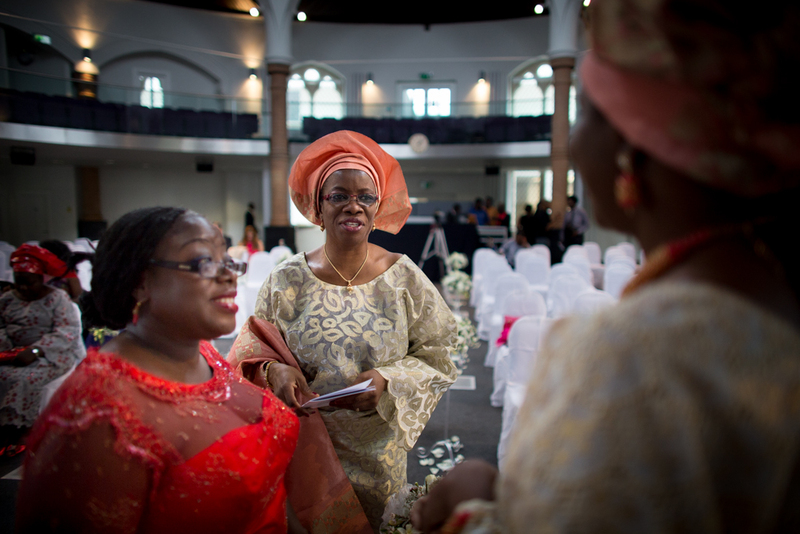 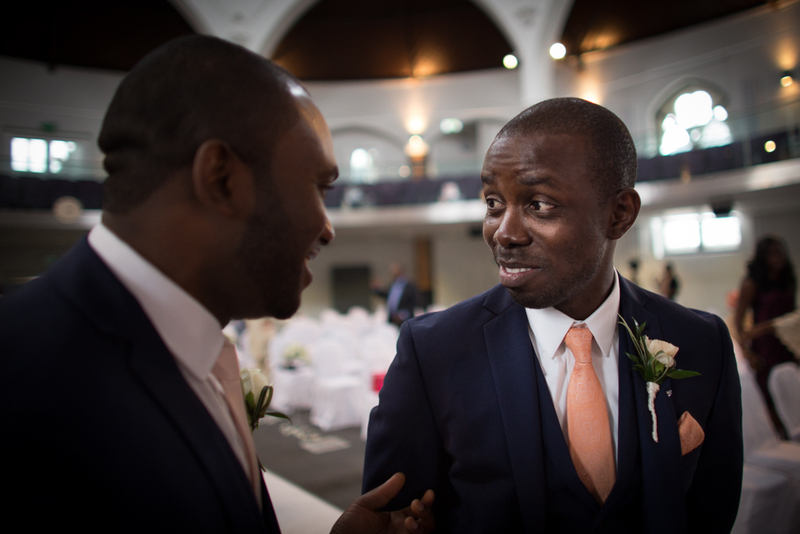 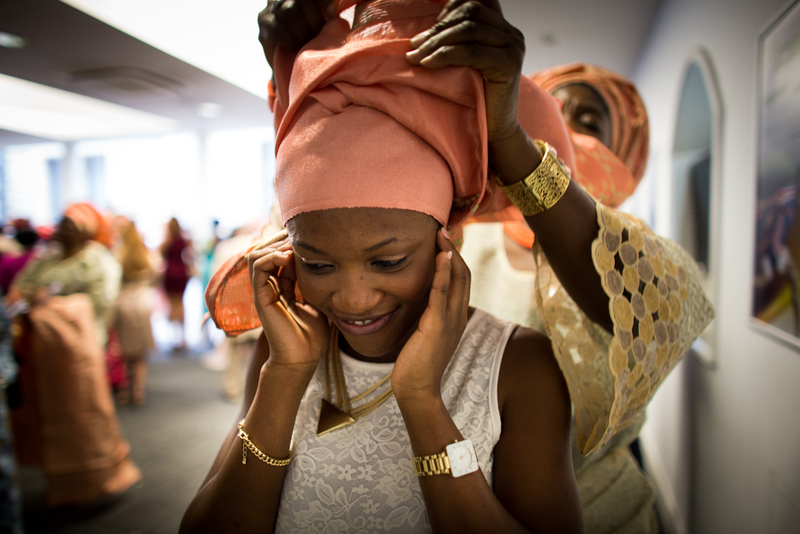 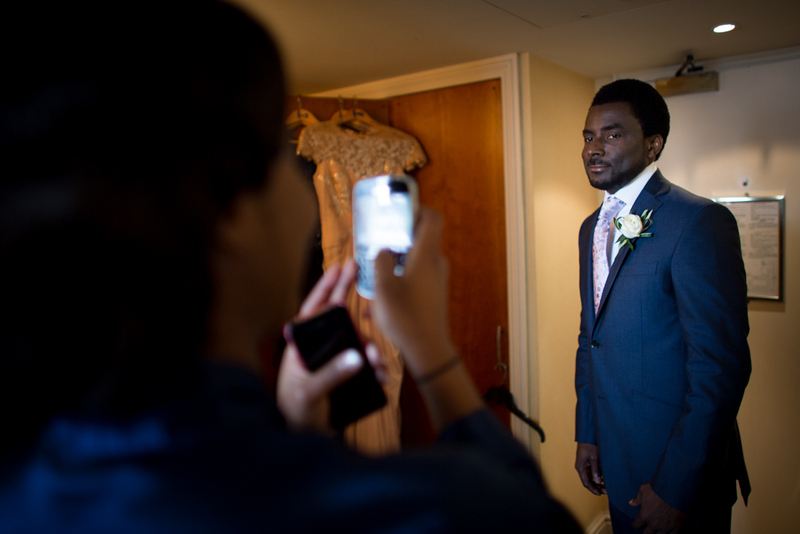 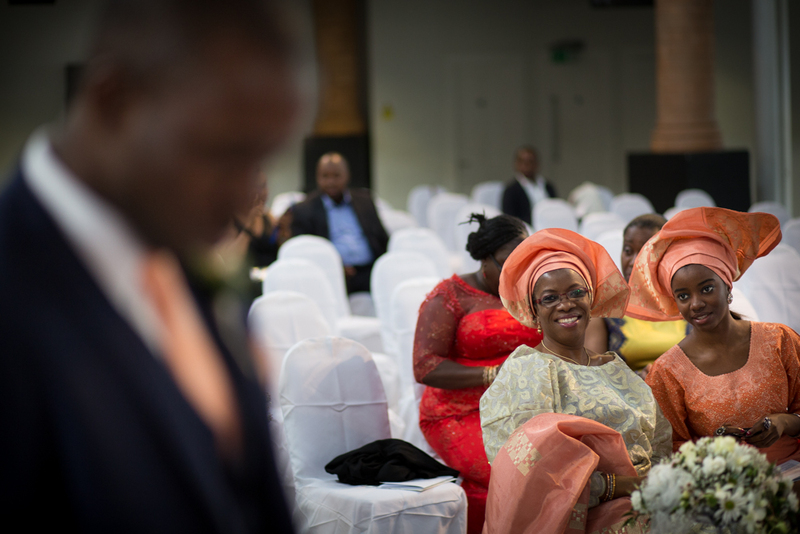 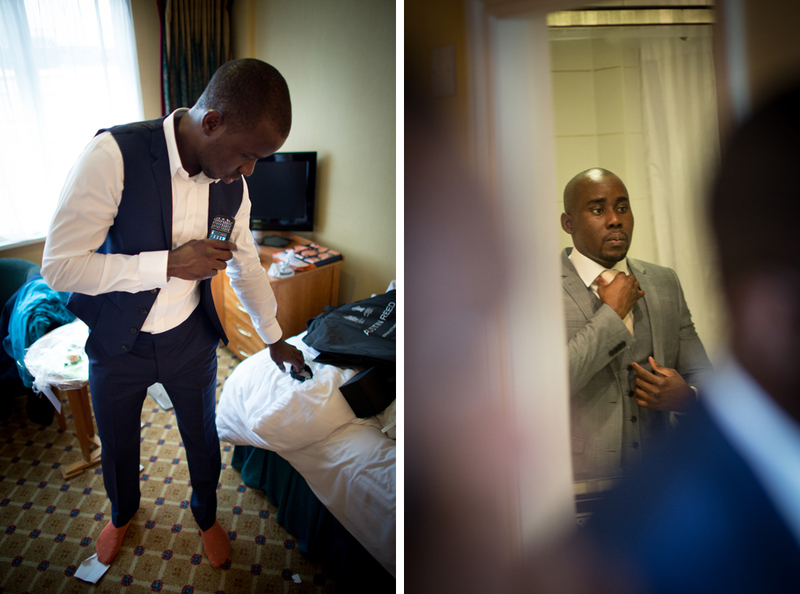 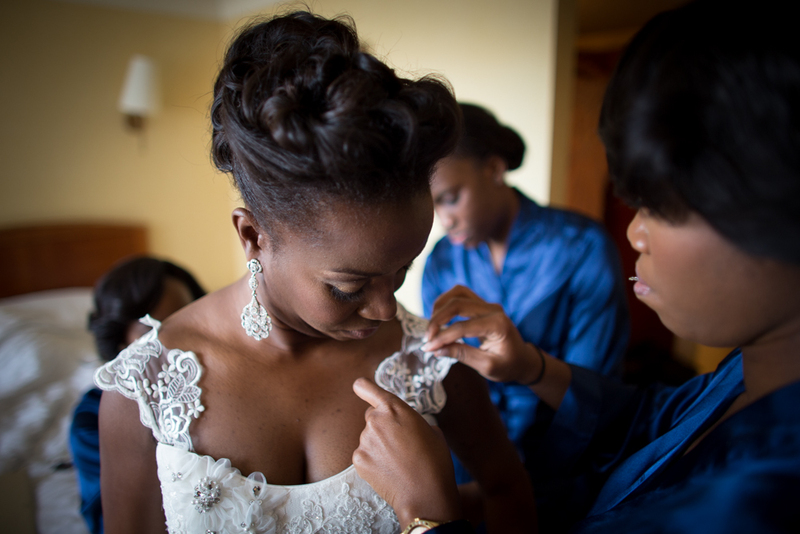 Ayo & Funmi’s day was so relaxed and full of fun – perfectly in sync with my approach to photographing a wedding. 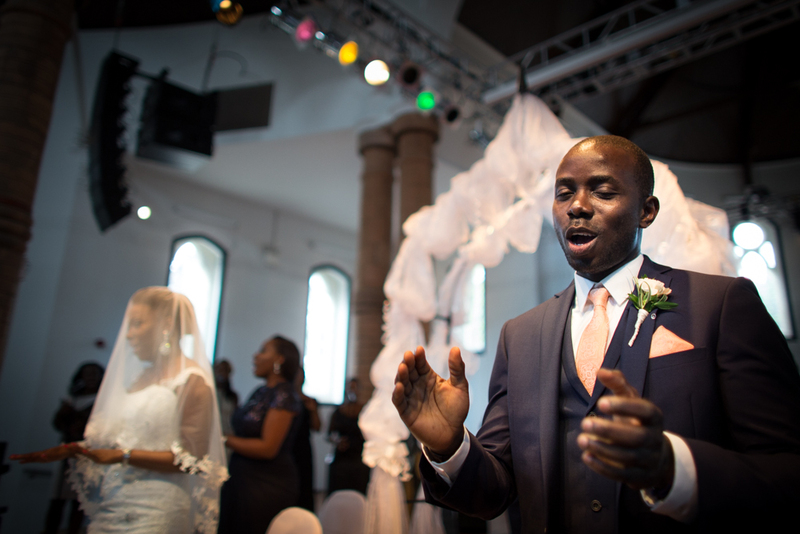 If you’re currently planning your wedding and like the look and feel of these images then please feel free to get in touch – I’d love to hear from you! 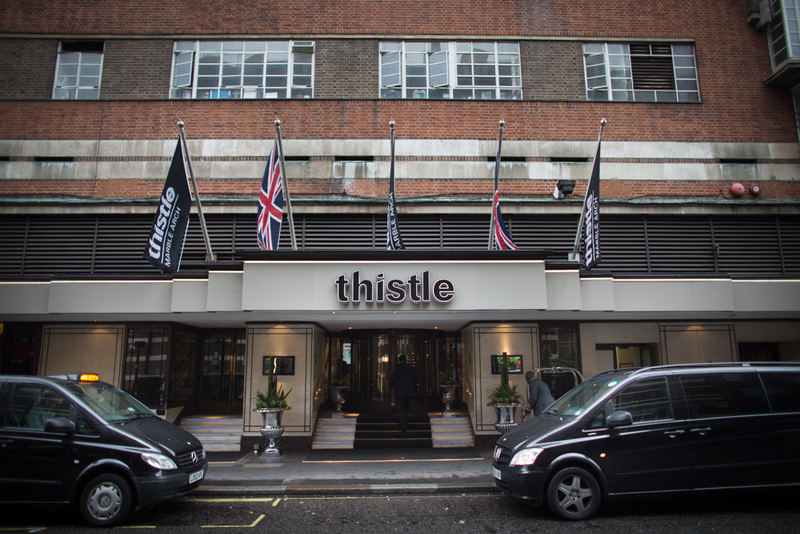 My thanks to Neale for having me along for the day, and as ever, your thoughts and comments are most welcome. 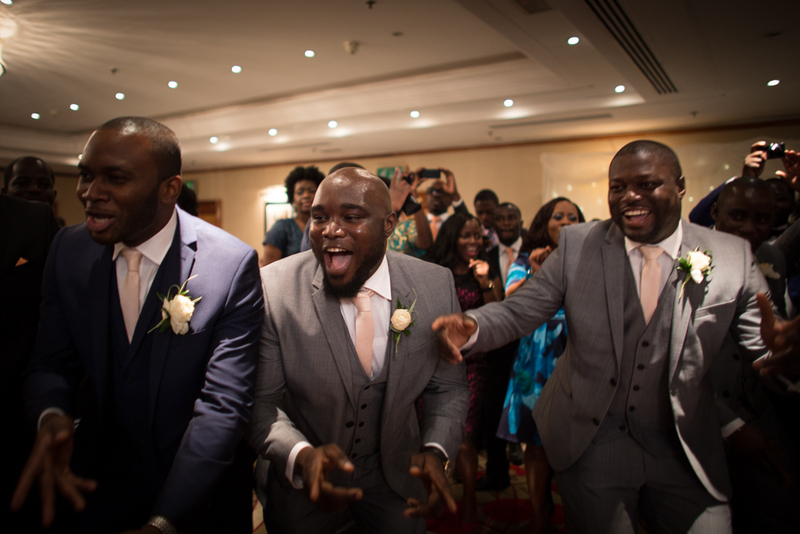 So much joy captured, Alex! 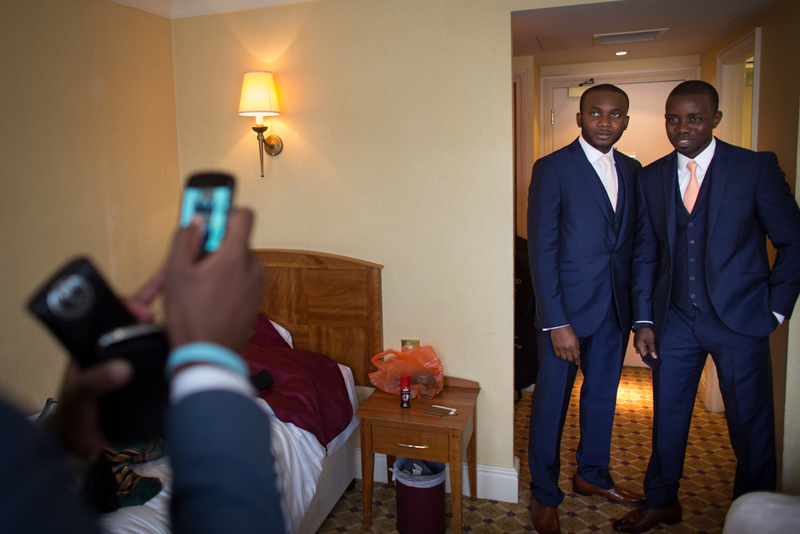 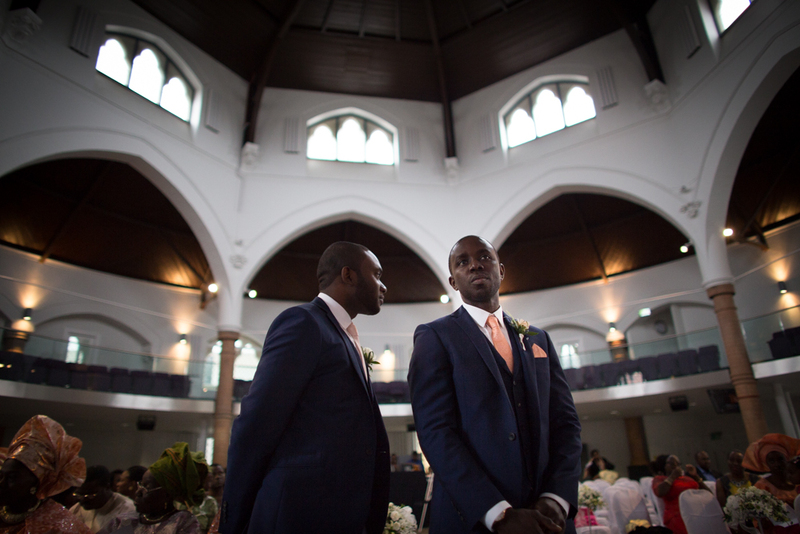 And love the low down shot of the groom and best man in the venue; stunning. 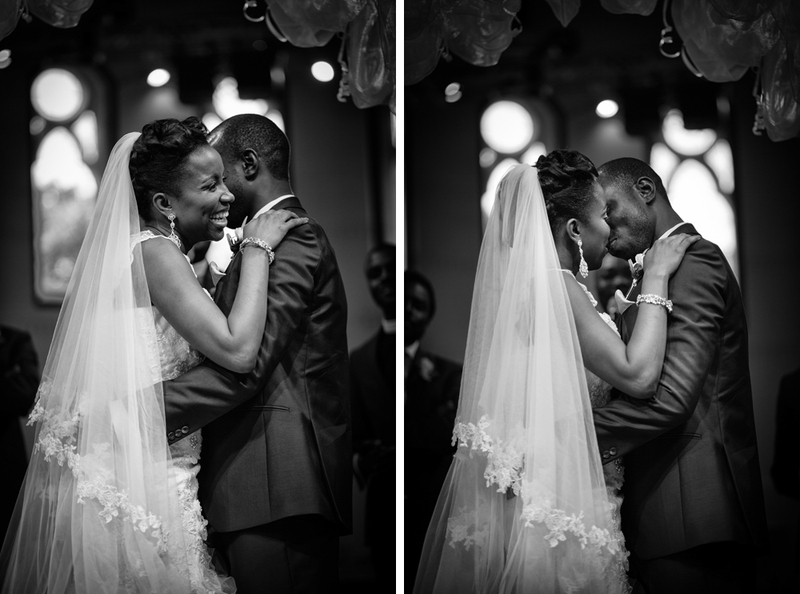 Cracking first dance shots, too. 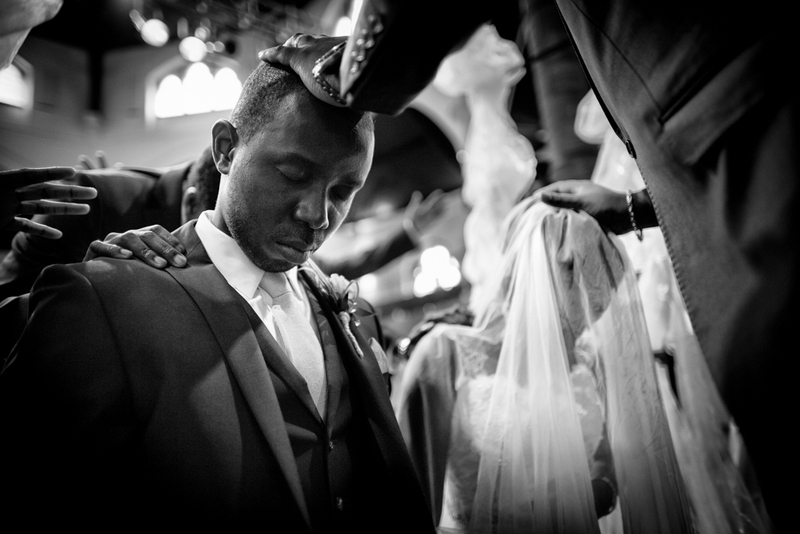 Great emotion captured throughout. 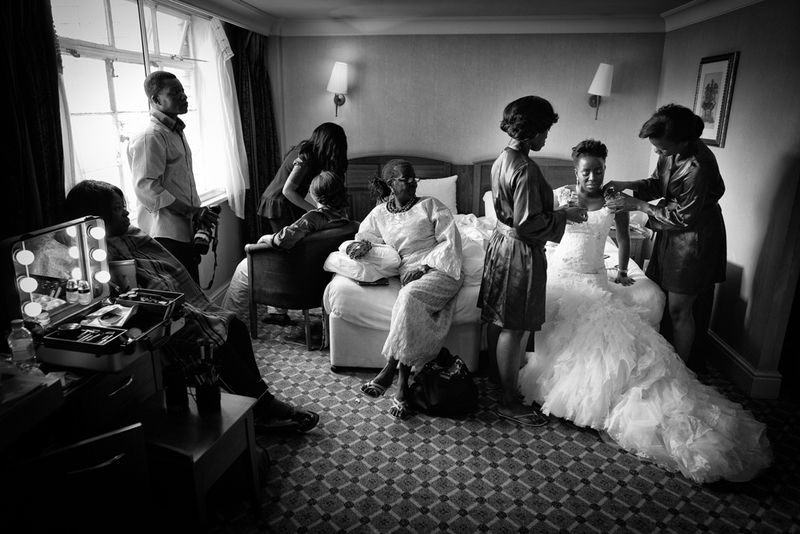 Classic documentary work Alex, feels like I was there. 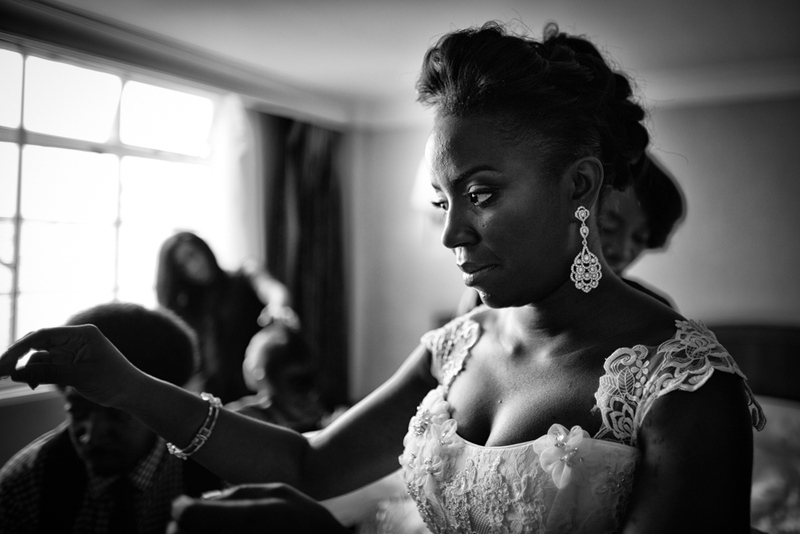 I love the emotion in your photos- beautiful work Alex! 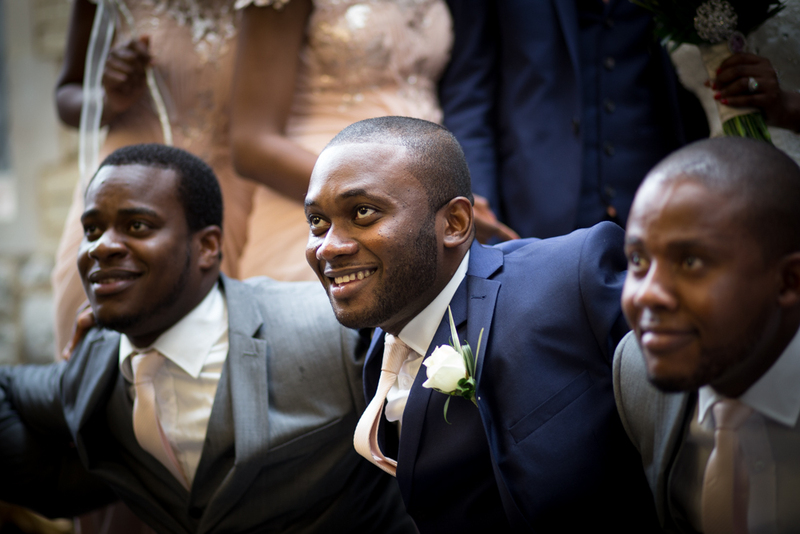 Copyright © 2015 Alex Wilson, All rights reserved.